21 Ice Pond Land in Oak Bluffs sold on March 4, 2019 by Jennifer DaSilva for $2,173,000 located in Farm NeckA very private setting situated on a 3.74-acre which includes a full stock membership to Farm Neck Golf & Tennis ! 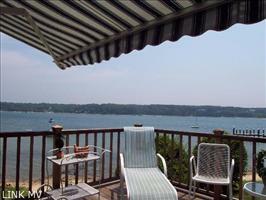 A beautiful tranquil setting overlooking Fresh Pond and has breathtaking water views. Set a distance away through mature landscape there is a one-bedroom apartment above a 2-car garage. 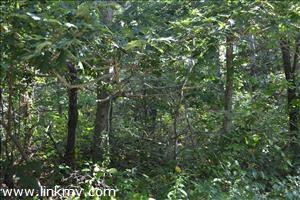 This lot abuts 73 acres of conservation land! Sengekontacket Pond which offers access to the ocean is a short bike ride and all Farm Neck stockholders may moor a boat there. 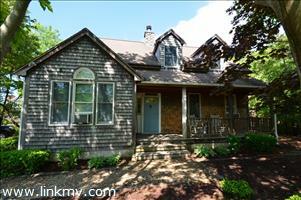 Rare offering in a desirable location in Oak Bluffs ! 14 Linton Avenue in Oak Bluffs sold on March 16, 2019 by Alan Schweikert for $580,000 :A classic Cape Style home with 3 ample bedrooms located in a quiet residential location of Oak Bluffs and an easy stroll into town! The living area is spacious and open to the kitchen area with first floor bedroom, hardwood flooring, 2 full bathrooms, 2 more bedrooms and a separate study/den upstairs, large screened porch, AC, and a full basement with gas fired forced hot water heat. 20 Carole Avenue in Oak Bluffs sold on February 22, 2019 for $624,00 by Michael Schweikert. 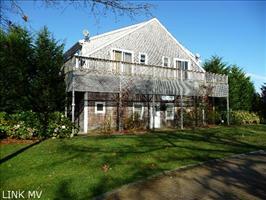 Located off County Road easy access stroll walk to Lagoon Beach! Easy bike ride into the village of Oak Bluffs, Circuit Avenue where all the shops are located and public beaches! Ranch Style home with 3 bedrooms 2. 5 baths and garage with space above. 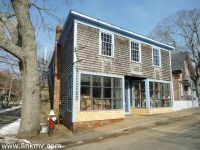 124 Skiff Avenue in Vineyard Haven, Tisbury sold on January 22, 2019 for $215,000 by Marilyn Moses, A renovated with state of the are updates!, Bamboo floors, expanded ceiling with decorative sturdy wood beams and beautiful solid cherry built in! 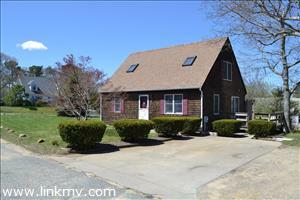 Association pool, easy stroll into the Village of Tisbury, MV Museum and Ferries! 145 Katama Bay Road in Edgartown, Katama sold on January 14, 2019 for $2,200,000 by Jennifer DaSilva, A terrific location just off South Water Street with easy access to the Village of Edgartown and South Beach - Katama Beach, this 4 bedroom home is in PRISTINE condition inside and out..Landscaped with mature gardens and custom stone patios and a spacious screened porch. Sun filled open living room with cathedral ceilings, dining room and chef's kitchen with gleaming granite counter tops. There are French doors off the living room that lead you to a cozy media room with a gas fireplace. First floor bedroom suite with a private full bath. The second floor includes 2 guest bedrooms both and a shared tile bath,features on the second floor are the window seats in bedrooms, large loft area or office nook, and a SPACIOUS master bedroom suite with a LARGE walk-in closet and full tiled bath. A one car garage and so much more ! TERRIFIC RENTAL OPPORTUNITY! 21 East Line Road in Edgartown sold on December 21, 2019 for $595,000 by Marilyn Moses located in Airport Industrial Park on .89 Acre Site. Building Built in 2002, Two Overhead Doors, Two Baths, Mezzanine. 8,460 SF Warehouse Building (7,500 SF High Bay Industrial Warehouse/960 SF Office/Mezzanine).. the perfect location to house a commercial business plenty of parking and storage convenient location. 19 Renear Street in Vineyard Haven sold on December 17, 2018 for $600,000 by Alan Schweikert located off Skiff Avenue in Tisbury offering 4 bedrooms 3 bathrooms & garage! 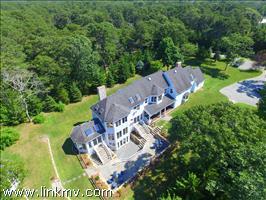 25 Dreamers Way in Oak Bluffs sold on November 16, 2018 for $1,090,000 by Marilyn Moses and Jennifer DaSilva located in Oak Bluffs a brand new 4 BR 4.5 bathroom home built by Shawn Chapps offering many built ins, wood floors and first floor master. 14 Spindles Path in Oak Bluffs sold on November 15, 2018 by Alan Schweikert for $675,000 located off Wing Road a short walk to Circuit Avenue, Viera Park and all the other public parks and beaches! 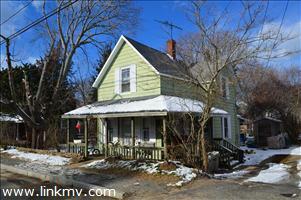 Offering 3BR 2 baths and partially finished basement. 29 Simpson Avenue in Oak Bluffs sold on November 14, 2018 by Jennifer DaSilva for $630,000 located in a terrific walk to Oak Bluffs town, public beaches, ferry ports..and distant views over Sunset Lake and Harbor! 2 bedrooms 2 baths. Potential for expansion ! 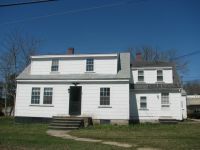 0 Worcester Avenue in Oak Bluffs sold on November 13, 2018 by Rene' BenDavid for $287,500 a 10,000 sq ft South facing lot with a level contour on a paved road which may accommodate up to 3 bedrooms with the approval of the Board of Health, BOH has already met and said up to 3 bedrooms is fine with the necessary Septic design and application. Percolation test has been completed already, Survey will be done soon. Sandy beach just a 1300' stroll to Beautiful Lagoon Pond where you can enjoy the beach, walk your pet, and watch the gorgeous sunsets. Lagoon Pond also is a favorite for Shellfishing. With a Shellfish permit from the town a new adventure can be had. How nice would little necks on the half shell or baked scallops sound for dinner! Have a boat? With permission from the Oak Bluffs Harbormaster, you could be steps away from your own private mooring. The nicely designed Bike path only 600' down your road gives you access to miles of safe, paved trails leading to Edgartown, Vineyard Haven , West Tisbury and the 6000 protected acres of the Massachusetts State Forest. Martha's Vineyard Hospital and Oak Bluffs Elementary School are a 5 minute drive away. This yearround, Quiet neighborhood Will make for safe and friendly environment for everyone. Property has been staked and flagged as well as perc tested. 4 Beryl Way sold on October 29, 2018 by Marilyn Moses for $390,000 located in Oak Bluffs in a private setting and an easy walk bike ride to town! A brand new 3 bedroom title 5 installed . 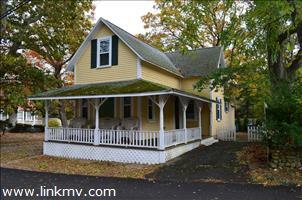 8 Rock Avenue sold on October 26, 2018 by Marilyn Moses for $360,000 located in the Martha's Vineyard Camp Meeting Association an original Victorian Style Gingerbread cottage on a double lot with high ceilings and 3 bedrooms. A block to Oak Bluffs Harbor, ferry ports and Circuit Avenue. 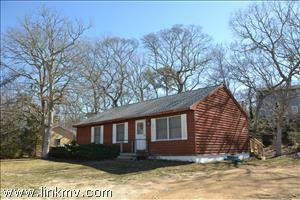 0 Oak Bluffs - 0 Olinda Avenue sold on September 24, 2018 for $294,000 by Rene BenDavid located in Oak Bluffs close to the lagoon on a wooded, level,10,000 sq ft lot will accommodate up to 3 bedrooms, with approval from the Board of Health, steps to sandy beaches for swimming boating and other summer actiivities! 7 Quail Run in Oak Bluffs sold on August 27, 2018 for $1,299,000 by Marilyn Moses located in Oak Bluffs Sengekontacket Association offering 3 bedrooms 3.5 full tiled baths ..Open concept, impeccably maintained is in the desirable Sengekontacket Community of Oak Bluffs! 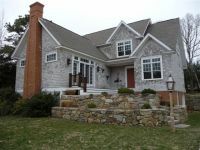 This Exquisite custom design, comfortably on one level, is situated on almost an acre of land with mature landscaping, stone walls and colorful perennial flower beds. Enter an impressive foyer into an OPEN BRIGHT living room highlighted with a beautiful stone European wood burning fireplace and 12 ft ceilings. The interior design is complemented by attractive furnishings that add to the graceful flow of the floor plan. Gracious Master Suite and 2 additional bedrooms are all spacious and inviting with custom closets, the kitchen is large with high end appliances, and there is a cozy separate den, and a dining room with sunsets. SURPRISE! There is a lower level, fully finished, offering a large media/rec room and multiple gathering spaces along with a full tiled bathroom & spacious workshop with walk out access! TERRIFIC LOCATION with private amenities that include access to both fresh and saltwater ponds! 43 Ocean Avenue in Oak Bluffs sold on August 8, 2018 for $1,300,000 by Marilyn Moses Historic Ocean Park Victorian renovated cottage offering 6 bedrooms and 1.5 bathrooms, renovated bright and spacious fully equipped kitchen. 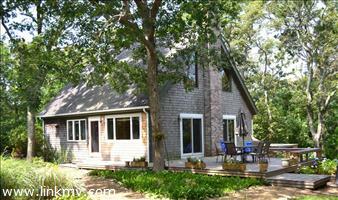 Water Views all the way to Cape Pogue and expansive views of Vineyard and Nantucket Sound. 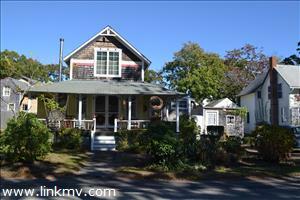 A block to Circuit Avenue, across the street to Ink Well Beach and public Oak Bluffs Beaches! 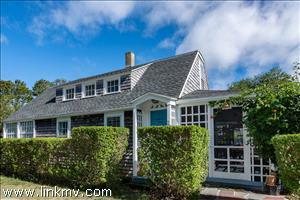 The Ultimate Oak Bluffs LOCATION in town! 120 The Boulevard in Edgartown sold on August 6, 2018 for $800,000 by Jennifer DaSilva This contemporatry style home offered protected views of Sengekontacket and beyond! The main house, included a first floor bedroom and spacious living room with vaulted ceilings, providing the perfect layout for casual Vineyard living. A two bay garage with one bedroom apartment would be a terrific rental or extra space for family and friends! 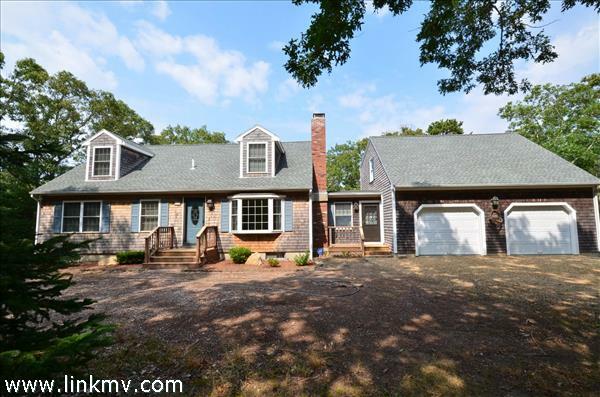 97 Pond View Drive in Oak Bluffs sold on July 18, 2018 for $775,000 by Marilyn Moses located in Vineyard Hills Oak Bluffs offering 3 bedrooms 2. 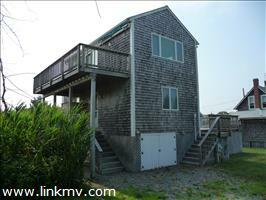 5 bathrooms, deeded access to sandy lagoon beach perfect location for year round families and idea vacation home! 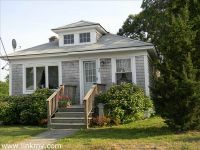 74 Columbian Avenue in Oak Bluffs sold on July 17, 2018 by Marilyn Moses for $590,000 located in Oak Bluffs Classic Cape style home with 3 bedrooms and open loft and 2 full bathrooms..open living room with wood burning fireplace and sliders offer the eat in kitchen! Terrific location on a .33 acre lot close to Lagoon Beach! 39 California Avenue in Oak Bluffs sold on June 29, 2018 by Jennifer DaSilva for $600,000 located in the Lagoon Heights location of Oak Bluffs, offering a short walk and or bike ride to sandy public beaches. 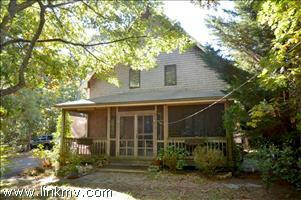 The home included 3 + bedrooms 2 bathrooms and 2 bonus rooms with wood floors! Open concept in excellent condition! 16 Prospect Avenue New Construction in Oak Bluffs sold on June 1, 2018 for $875,000 bu Alan Schweikert offering 4 BR 3.5 bathrooms open floor plan and screened in porch short walk to town! 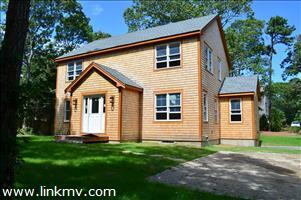 OAK BLUFFS: NEW CONSTRUCTION HOME IN PROCESS~4BR 3.5 Bath Custom design ~A STROLL or bike ride to Oak Bluffs Harbor, beaches and ferries! Features large sun-filled open kitchen/dining/living area with gas fireplace and sliders to screened porch. Master bedroom with private full bathroom on first floor, half bath with laundry, and upstairs are 3 more spacious bedrooms with 2 full bathrooms. Lots of beautiful detail with hardwood flooring, granite, marble and tile. INVESTMENT OPPORTUNITY! STRONG RENTAL POTENTIAL $$$ CENTRAL AIR and PRIVATE SETTING ! EASY to SHOW! 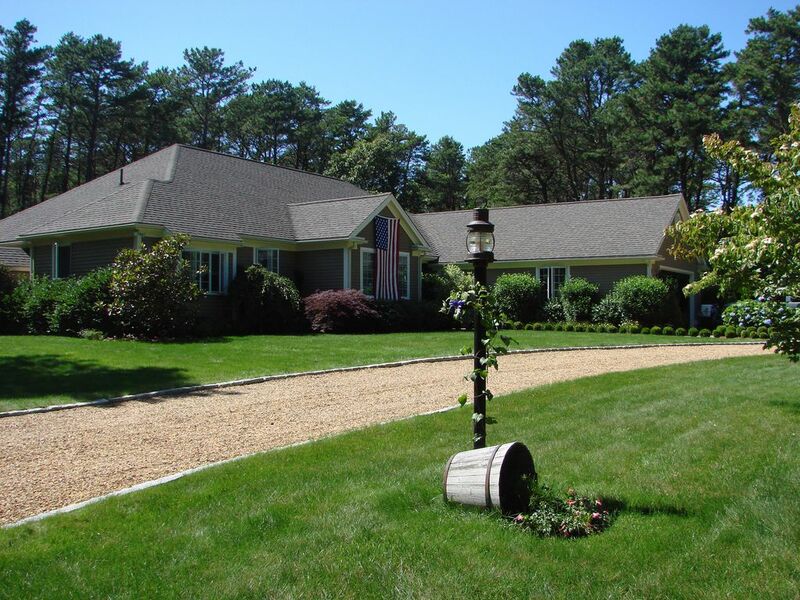 48 Meadow View Road in Meadow View Farms Oak Bluffs sold on March 12, 2018 for $737,500 by Alan Schweikert Oak Bluffs: Well maintained family residence situated in private community with protective covenants and tennis courts. 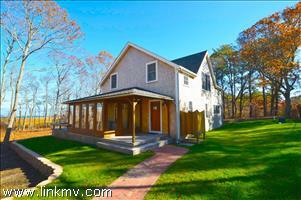 Features over 3/4 of an acre, level landscaped, with acres of abutting conservation land. Large relaxing 3 season porch, den/study, upgraded kitchen, private dining room with bay window, spacious living room, another den that could be easily used for bedroom overflow, half bath and laundry room. Upstairs has the master suite with full bathroom, 2 more large bedrooms and another full bathroom. 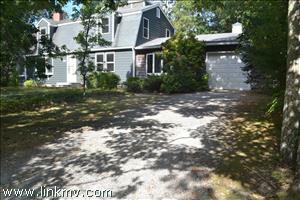 Wonderful detached 2-car garage with high ceilings and second floor storage. 12 Shirley Ave in Oak Bluffs sold on April 26, 2018 for $577,500 by Marilyn Moses short stroll to Lagoon Beach CUSTOM DESIGN~ EXCEPTIONAL QUALITY THROUGHOUT~ LOCATED IN OAK BLUFFS ~ONE OF A KIND YEAR ROUND VICTORIAN HOME & approximately 800 + feet to Sandy Lagoon Beach! Perfect for swimming, boating and evening sunsets! 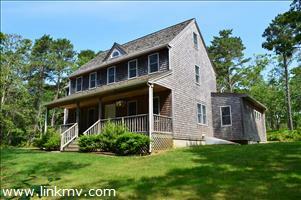 Custom design with sturdy wooden beamed ceilings and has all the Victorian charm that so typifies Oak Bluffs! Welcoming entry from the large Cedar/Mahogany wraparound porch, open floor plan with beautiful Fir hardwood floors throughout, soaring ceilings which gives home a spacious feeling, perfect for entertaining! 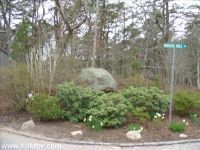 3 Bedroom Title 5 Septic System allowing the possibility for more bedrooms with town approvals.. Landscaped grounds. Home is absolutely a one of kind with many custom features in and out! Adorable detached bunk house perfect for guests or workshop/studio.. 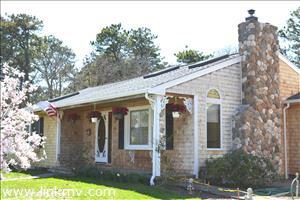 CONVENIENT LOCATION OFF BIKE PATH~ short ride to Oak Bluffs town, public beaches, ferry ports and harbor! This home must be seen to appreciate all the fine details...2018 Spring & Summer Rentals in place. 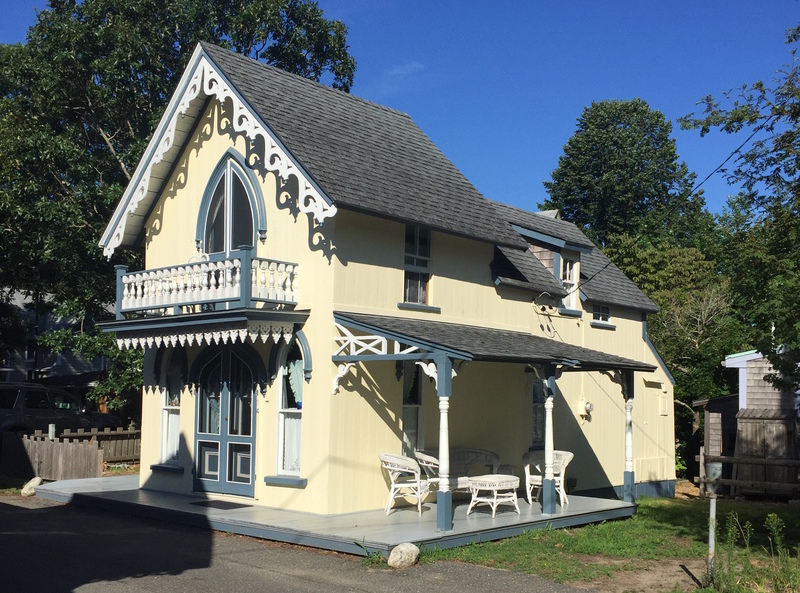 25 Uncas Avenue in Oak Bluffs Historic in town location Sold on March 8, 2018 for $497,500 by Adam Rebello Located in the Copeland district in Oak Bluffs on the corner of Nashawena Park and Uncas Avenue. 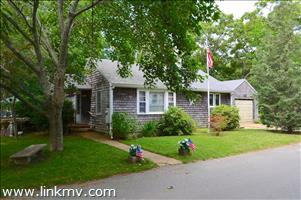 Just a short walk to downtown Oak Bluffs, ferry, beaches and harbor, this ranch style home features 4 bedrooms, 1.5 bathrooms and a living/ kitchen/dining area with laundry room off the kitchen. Also there is an attached single car garage, attic storage area and full basement with dirt floor. Rare opportunity to be on a most sought after park! 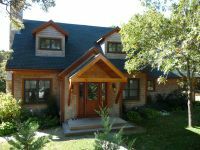 122 Tellette Street in Oak Bluffs Sold on April 12, 2018 for $485,000 by Michael & Alan Schweikert Ranch style residence situated on large gently sloping lot in quiet residential neighborhood features an open kitchen/living/dining area with brick fireplace, hardwood flooring, high ceilings, lots of natural wood detail, slider to exterior deck, two bedrooms, full bathroom, and a finished 2 room walkout basement. Seller is getting an approved 3 bedroom septic design and buyer is responsible for septic installation. 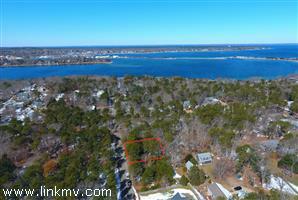 12 Greenleaf in Oak Bluffs sold on March 1, 2018 by Sharon Graham for $815,000 offering expansive water views across Sunset Lake, Oak Bluffs Harbor and Vineyard Sound beyond from this level home site. Walk to Circuit Avenue shops and restaurants,Town beach, Steamship terminal, and Oak Bluffs Harbor is steps away! Ability to tie into town sewer and build a 4 bedroom home. 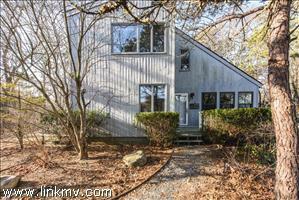 191 Spring Hill Road in Vineyard Haven sold on February 27, 2018 by Rosemary Byrd for $650,000 offering 3 bedrooms 2 bathrooms! 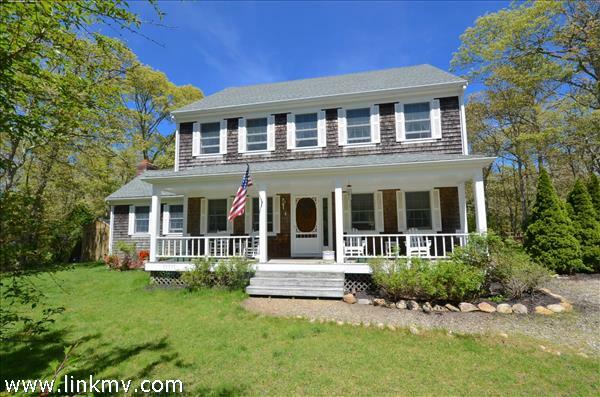 Classic Cape Style home in good condition with a central location to all down island towns, Steamship terminal, bike paths and schools! 21 Forest Hill Drive sold February 8, 2018 by Rene' BenDavid in Oak Bluffs offering 2 bedrooms 1 bathroom renovated in a great walk to town location, easy bike ride into Oak Bluffs Center, public beaches and all the Oak Bluffs town parks! 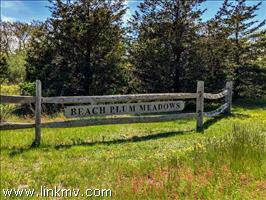 3 Beach Plum Meadows Edgartown Land sold on February 14, 2018 by Alan Schweikert convenient and close to South Beach in Katama over 1.54 acres build your dream 4 bedroom home. 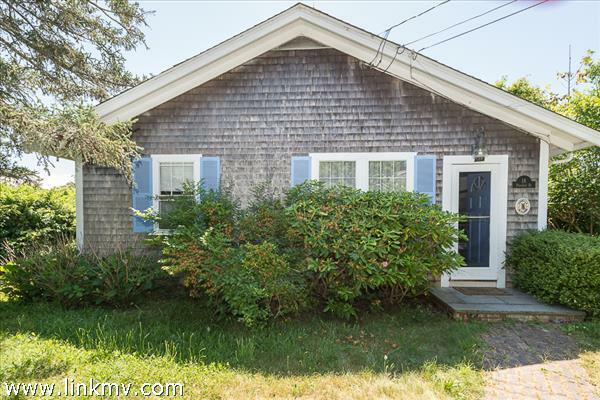 22 Siloam Avenue in Oak Bluffs sold on Friday January 26, 2018 located in the Historic Martha's Vineyard Camp Meeting Association! Renovated and year round offering 4 bedrooms 2 full tiled bathrooms, short walk to Oak Bluffs Harbor, Steamship Authority, Circuit Avenue where all the Boutique Shops, galleries and restaurants! One of Kind! 40 Peases Point Way in Edgartown sold on Wednesday January 24, 2018 by Marilyn Moses located in Edgartown Village a block to main street, stroll to Fuller Beach offering 4 bedrooms 3. 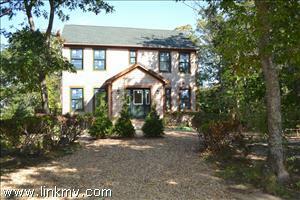 5 bathrooms, wood burning fireplace,two first floor bedrooms ,2 driveways potential carriage house ! 39 Tower Ridge Road sold on January 19, 2018 for $600,000 by Marilyn Moses located off County Road in Tower Ridge very close to Farm Neck Golf Course offering 3 bedrooms 2. 5 bathrooms detached garage, screened in porch! Renovated kitchen with granite counters and newer appliances! 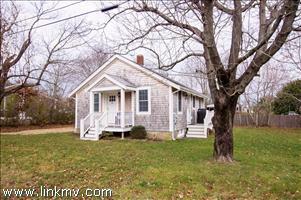 33 Lantern Lane sold on January 17 for $509,250 by Marilyn Moses located in Vineyard Haven, close and convenient to State Road and Cronig's Grocery Store! Offering 4 bedrooms 2.5 bathrooms, mostly finished basement all the furnishings! Renovated and easy to show! 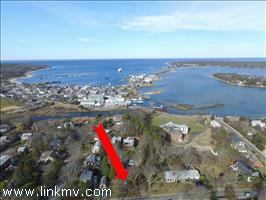 0 Skiff Avenue sold on January 17 for $175,000 by Rene' BenDavid short walk bike ride to Vineyard Haven Harbor, Marina, Steamship Authority! Suitable for a 3 bedroom home ! Easy to show ! 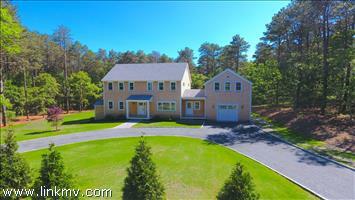 Oak Bluffs 3 Sengekontacket Road located in the Sengekontacket Association in Oak Bluffs sold on December 8, 2017 for $1,580,000 by Alan Schweikert and Amy Goldson Brand new home offering 5 bedrooms 4. 5 bathrooms, chefs kitchen with state of the art appliances! Open and spacious floor plan with french doors to an expansive blue stone patio.. 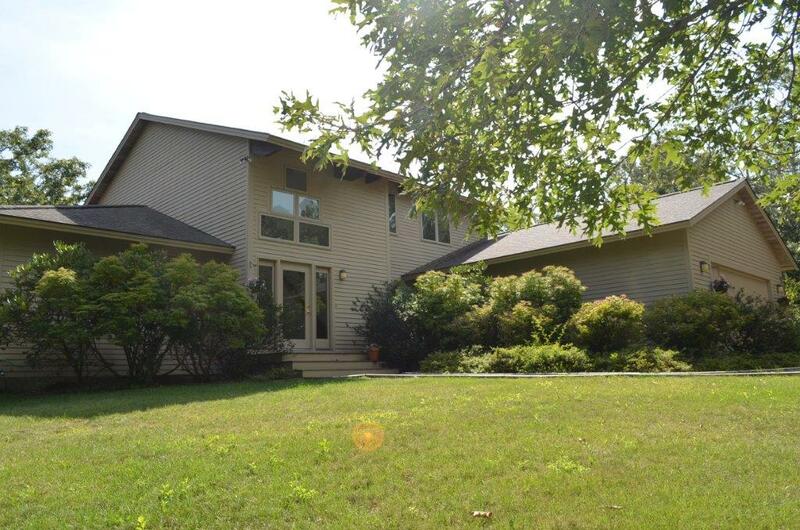 Situated on over 2 acres with professional landscaping throughout, plenty of room for a pool and cabana. Enjoy the fresh water pond and club house and access to boating and clamming from the private association dock.Tennis too! Vineyard Haven 92 Spring Hill Road sold on November 13, 2017 for $454,000 by Rene' Ben David located in a terrific convenient location to the Tisbury school, village of Vineyard Haven, Harbor, Black Dog Tavern! Offering 3 bedrooms 2 bathrooms energy efficient throughout! Mature landscaping. Edgartown 6 Mockingbird Drive sold on October 27, 2017 for $810,000 by Marilyn Moses in Dodgers Hole Edgartown centrally located to all the down island towns, Ymca of Oak bluffs, Martha's Vineyard High School. Offering 4 bedrooms 4 full bathrooms, wood burning fireplace, wood floors, 2 car garage and 2 driveways! Strong Rental History ! Oak Bluffs 26 Greenleaf Avenue sold on October 27, 2017 for $2,200,000 by Marilyn Moses in town Oak Bluffs with expansive water views over Sunset Lake, Oak Bluffs Harbor all the way to Vineyard Sound & Nantucket Sound. Custom Vineyard Home offering 6 bedrooms 3.5 tiled bathrooms with hardwood floors open spaces and a wonderful wrap around porch! A stroll to public beaches, Nancy's on Oak Bluffs Harbor and ferry ports! Strong Rental History in place! path. Detached garage and perfect home for a vacation get away or first time home buyer! 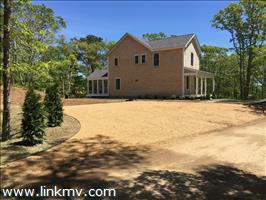 Vineyard Haven 74 Border Road sold on October 13, 2017 for $855,000 by Rene' Ben David in VIneyard Haven over an acre offering 4 bedrooms, 3.5 bathrooms brand new construction with s fireplace. Oak Bluffs 20 Nahoman Street sold on October 6, 2017 for $629,000 by Marilyn Moses located in East Chop Highlands only a short walk stroll to East Chop lighthouse, East Chop Drive, Oak Bluffs Ferry Ports and Harbor. 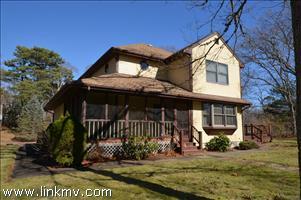 This home offers 4 bedrooms 2 full bathrooms open spacious living dining area and sliders to a private exterior deck. Excellent location! 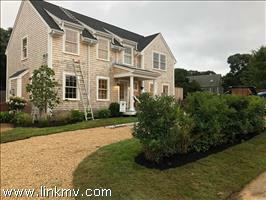 Oak Bluffs 229 Buddy's Drive sold on October 3, 2017 for $1,149,000 by Marilyn Moses & Jennifer DaSilva offering 4 bedrooms 4.5 bathrooms, finished basement and beautiful built in pool. 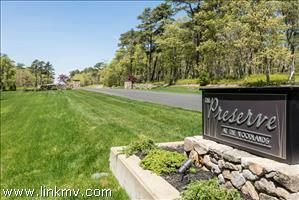 Mature landscaping professionally maintained abuts State Forest. 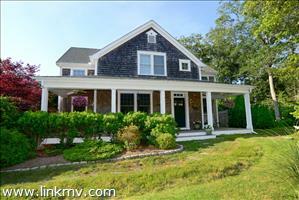 Resort living in Oak Bluffs! 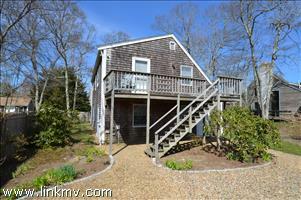 Centrally located to Vineyard Haven, Edgartown and both villages! 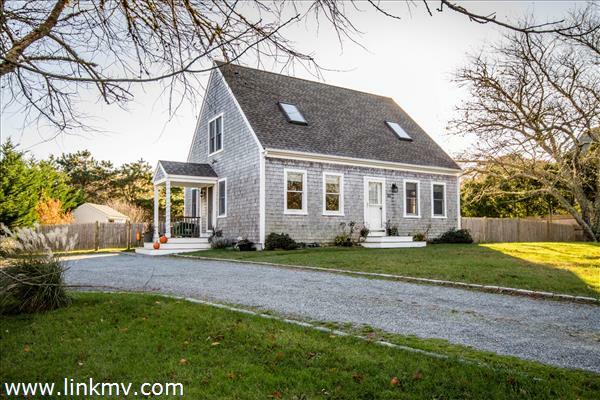 Edgartown 75 Dodgers Hold Road sold on September 22, 2017 for $770,000 by Marilyn Moses 4 Bedroom 2 full bathrooms, renovated throughout with a beautiful stone fireplace, gleaming wood floors, full basement. Sliders out to wrap around deck, Landscaping throughout..Easy access to Morning Glory Farm, Vineyard Golf Club..All the down island towns! 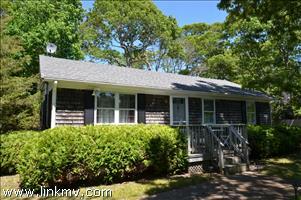 Oak Bluffs 9 Shirley Avenue sold on September 22, 2017 for $549,000 by Marilyn Moses offering 2 bedrooms 2 full bathrooms, open spacious floor plan..wood floors on first floor. 800+ feet to the Lagoon Beach! Easy access to bike path on County Road. 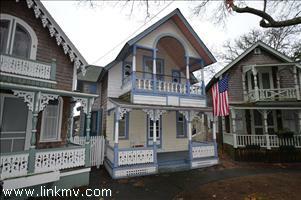 Stroll into Oak Bluffs Village, Circuit Avenue and Oak Bluffs Harbor! 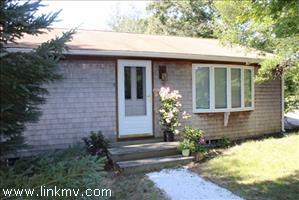 Vineyard Haven 170 Franklin Terrace sold on September 8, 2017 for $537,000 by Sharon Graham offering 2 bedrooms 2 bathrooms with a wood burning fireplace with lots of windows. The kitchen is renovated with granite counters and stainless appliances. Easy bike ride into town, village and Lake Tashmoo. Vineyard Haven Greenwood Avenue Extension lot 5C sold on September 18, 2017 for $300,000 by Sharon Graham. 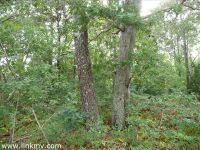 Land available for sale close to town in Vineyard Haven 1.03 acres of sprawling landscape covered in lush foliage, mature evergreens, wild flowers, wild turkeys, deer and nature at it's best. The property is located between Franklin Ave and Greenwood Ave. A 15 minute walk to Lake Tashmoo & The Public beach at Owen Park. Property can handle septic/4 bedrooms, multiple configurations. 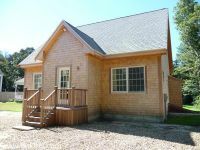 Oak Bluffs 12 Kenney Road sold on August 31, 2017 for $285,000 by Alan Schweikert terrific location private setting in Oak Bluffs easy walk or bedroom to town! Edgartown 289 The Boulevard sold on August 1, 2017 for $1,245,000 by Alan Schweikert Located in Edgartown with waterviews over Sengekontacket! 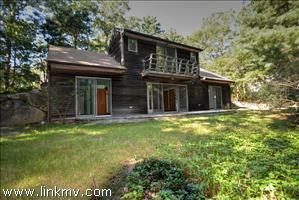 A contemporary residence abutting the shores of Sengekontacket Pond and acres of wooded salt marsh. Features bright open living/dining/kitchen area with granite counters, custom cabinetry, stainless steel Bosch appliances, gleaming hard pine flooring, gas fireplace, lots of glass, first floor master suite, wonderful mahogany frame screen porch, sliders to sweeping rear deck, 2 more bedrooms on the second floor with another full bathroom with marble and white tile, and large family room/loft area. Excellent privacy! 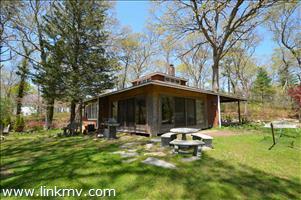 VIEWS galore over the POND and BARRIER BEACH out to Nantucket Sound. Oak Bluffs 229 Sea View Avenue sold on July 28, 2017 for $1,125,000 by Marilyn Moses in Oak Bluffs in desirable Harthaven offering 4 bedrooms 2.5 bathrooms additional separate studio bunk house. Beautiful sunrise views and spectacular water views of the sound! Rare offering! 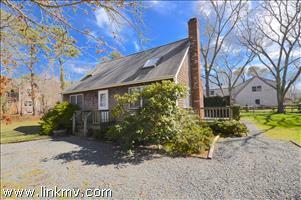 Vineyard Haven 24 Border Road sold on June 15, 2017 for $748,900 by Rene' BenDavid in Vineyard Haven short bike ride to Vineyard Haven Harbor, village and ferry ports. Brand new home offering 3 bedrooms 2.5 bathrooms wood floors, gas fireplace. 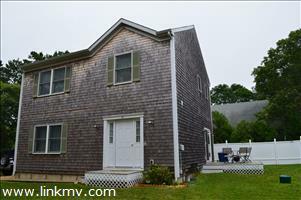 Oak Bluffs 107 Pennsylvania Ave sold on June 30, 2017 for $539,000 by Alan Schweikert in Oak Bluffs in the Lagoon Heights district offering 3 bedrooms 1.5 baths open spacious floor plan, wood burning fireplace, built in's 1.5 baths and bonus sleeping loft and full basement! 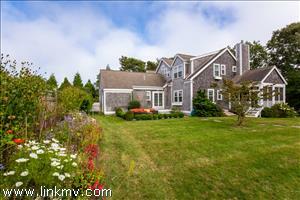 Oak Bluffs 28 Siloam Avenue sold on June 23, 2017 for $499,000 by Marilyn Moses in Oak Bluffs located in the historic Martha's Vineyard Camp Meeting Association with 2 bedrooms and 1.5 bathrooms, distant second story water views of Oak Bluffs Harbor. Renovated throughout. Oak Bluffs 262 Farm Neck Way sold on June 16, 2017 for $1,450,000 by Alan Schweikert Located in Farm Neck Golf Club~2.38 acre vacant land overlooking the 7th tee with views over the fairway to Sengekontacket Pond. Includes stock ownership for full golf club membership.Enjoy all the club amenities including golf, tennis, deeded water access and dining at the Farm Neck Cafe. 4 bathrooms, wood floors, conservatory, garage with expansion possibilities, large kitchen with sunny bright rooms throughout! 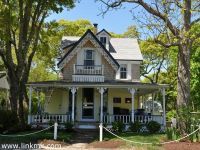 Oak Bluffs 34 Schoolhouse Village sold on April 24, 2017 for $620,000 by Sara Boudreau' located off Edgartown Vineyard Haven Road Central location offering 3 bedrooms2 baths..easy access to Martha's Vineyard High School,YMCA. 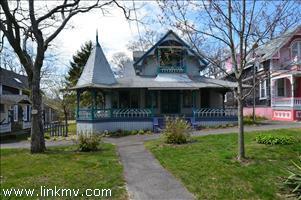 Oak Bluffs 0 Columbian Avenue sold on April 21, 2017 for $220,000 by Marilyn Moses Level treed and some open areas building lot short stroll or bike ride to sandy lagoon beach and sailing camp. Vineyard Haven 40 Cronig Avenue sold on April 19, 2017 for $2,590,000 by Alan Schweikert Exquisite Waterfront Home with Stunning Water Views! Impressive throughout! Beautiful bead board finished, custom cabinetry, gourmet chefs kitchen..Brand New Home! sunsets, enjoy all the wonderful boating, clamming, swimming activity! 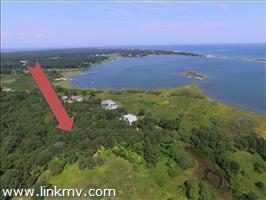 Build your dream house located off County Road in Oak Bluffs! 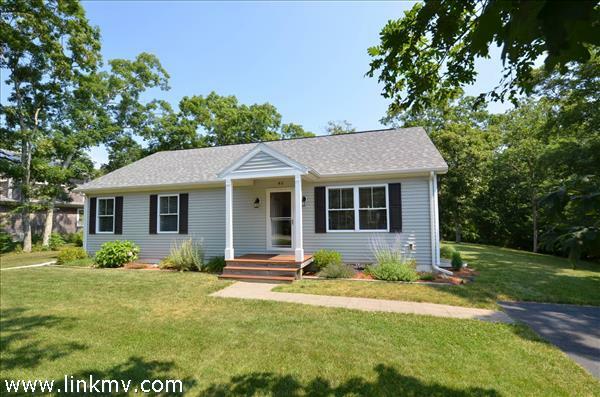 Oak Bluffs 26 Forest Hill Circle sold on January 6, 2017 for $413,000 by Sara Boudreau.3 bedroom Ranch style home with 1 bathroom renovated kitchen with granite counters and wood floors, full basement and bright spaces throughout. 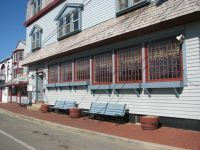 Easy walk or bike ride into the Village of Oak Bluffs where all the restaurants, galleries and activity is! Oak Bluffs 18 Windy Hill Road sold on January 6, 2017 for $665,000 by Marilyn Moses & Alan Schweikert Brand NEW HOME offering 2 bedrooms 2.5 bathrooms and spacious loft area on the second floor..Beautiful gleaming hardwood floors, gorgeous gas fireplace and custom mantle! Custom Cabinetry in the kitchen and powder room.Windy Hill Road is a sleepy road very close to town..Easy to walk or bike ride into the village where all the shops, restaurants and public beaches! 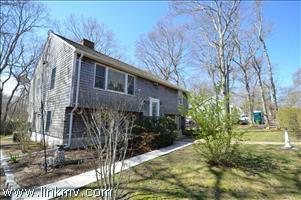 Vineyard Haven 154 Bernard Circle sold on December 29, 2016 for $420,000 by Joanna Fairchild Contemporary style home offering 4 bedrooms 2 bathrooms huge exterior deck.Great location at the beginning of West Chop, Mink Meadows Golf Club. 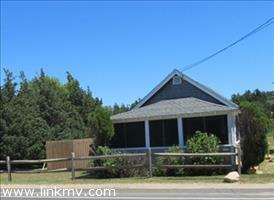 Easy bike ride into the Town of Tisbury..
Oak Bluffs 20 Lincoln Avenue sold on December 22, 2016 by Marilyn Moses for $419,000..Rare opportunity to buy a home in the Historic Martha's Vineyard Camp Meeting Association..offering a first floor bedroom, high ceilings, powder room, spacious bright living room with built ins, washer dryer first floor and 2 additional bedrooms and full bathroom complete second floor, Bonus screened in porch area and outside shower! Terrific location a block to Circuit Avenue, Oak Bluffs Harbor where all the restaurants and ferry ports..
Oak Bluffs 18 Hitchings Circle sold on December 12, 2016 by Alan Schweikert for $413,850 offering 2 Bedrooms 2 bathrooms open concept , full basement recently painted and floor sealed..This home offers loft space on the second floor..easy short walk bike ride stroll into Oak Bluffs Village, harbor location and ferry ports! 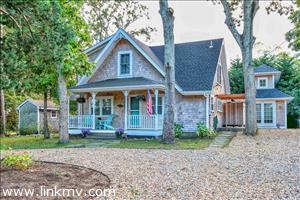 Oak Bluffs 14 Rock Avenue sold on December 9, 2016 by Marilyn Moses for $417,000..Gingerbread Victorian Cottage located in the historic Martha's Vineyard Camp Meeting Association offering 3 bedrooms 1 bathroom, beautiful mahogany deck, newer outside shower, privacy planting, front farmers porch ! 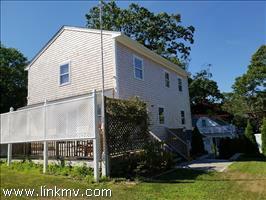 A block to Oak Bluffs Harbor, Circuit Avenue , ferries and all the in town Village activity! 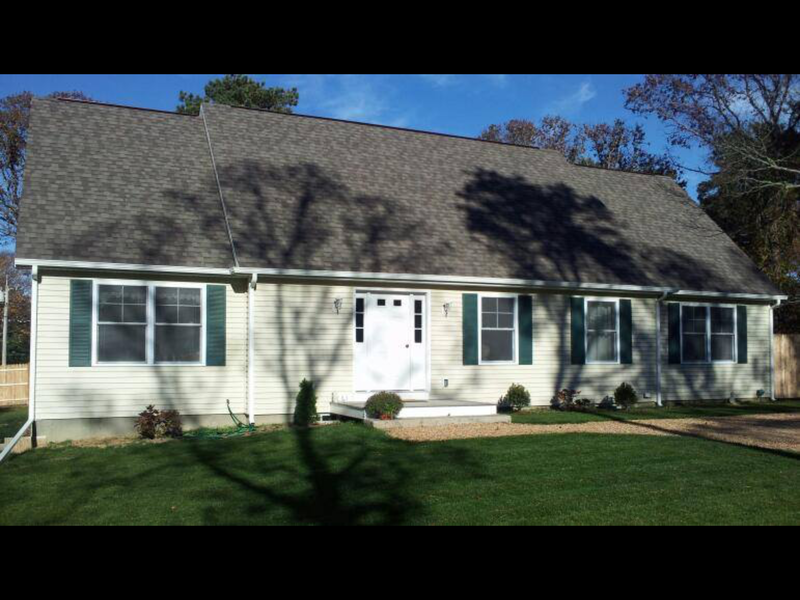 Oak Bluffs 45 Rogers Way sold on December 2, 2016 by Marilyn Moses and Joanna Fairchild for $545,000 this beautiful ranch style home offers 3 bedrooms and 3.5 bathrooms..there is a finished basement with a full bathroom, on demand energy efficient hot water tank! Storage shed, irrigation ..METICULOUS SHOWS LIKE A NEW HOME! 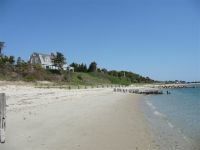 A stroll to Oak Bluffs Circuit Avenue, Martha's Vineyard Camp Meeting Association, public beaches and all the intown fun activity! 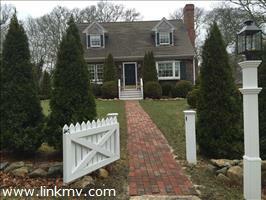 Vineyard Haven 207 Lake Street sold on November 21 by Alan Schweikert, Michael Schweikert & Marilyn Moses for $922,500 ..Beautiful Colonial Home with a total of 5 bedrooms 3.5 bathroom..including the garage with bedroom and full tiled bathroom..Fenced in yard! Absolutely stunning throughout custom cabinetry, gleaming wood floors , 2 gas fireplaces, custom granite tile and bead board cabinetry..a short walk to Lake Tashmoo boat landing, stroll into the Town of Tisbury where all the shops, galleries and restaurants! 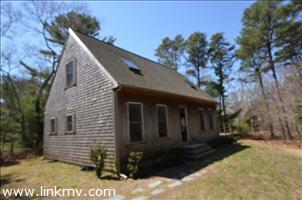 Vineyards Haven 41 Bernard Circle sold on November 17 by Alan Schweikert for $460,000 offering 5 bedrooms 2 bathrooms bright spaces convenient location off Franklin Avenue in Vineyard Haven a short walk to the Village of Tisbury, bike ride to the West Chop Lighthouse, Mink Meadows Golf Course and all the Ferry Ports! 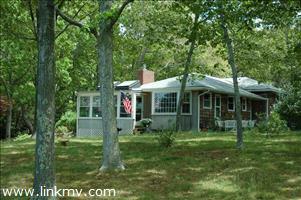 Oak Bluffs 172 County Road sold on October 28, 2016 by Marilyn Moses for $426,500 Located off bike path in Oak Bluffs short stroll to Sandy Lagoon Beach offering clamming, swimming and boating! This adorable A frame home offers 2 + bedrooms 1.5 baths, wood floors and wood stove..multiple exterior decks and detached shed! Oak Bluffs 10 Quantapog Road sold on October 26, 2016 by Alan Schweikert for $1,250,000 OaK Bluffs Compound located off County Road..Linear design that creates the effect and function of a large (multi) family residence with the ability to accommodate 2 families and guests! This amazing residence is your personal RESORT! First floor includes 2 separate great rooms with 2 fireplaces (one has entertaining area, a living room and dining room) with kitchens, 2 large en suite bedrooms, sun room, half bathroom, and sunny spa room with hot tub. The second floor has 2 more large bedrooms sharing a full bathrooms, another en suite master with full bath and Jacuzzi tub, and a spacious loft/family room, and the finished basement with a fireplace has patio doors to the courtyard adds another 1200 sq.ft.to the living area with a sprawling game room, another bedroom, half bathroom, and mechanicals room. About 2/3 of the house was new in 2004 and the rest totally renovated. The landscaping is lush and creates privacy for the intimate settings in the patios and classy detached gazebo. Excellent rental history!!! This is a must see!!! PERFECT HOME FOR A POOL & GUEST HOUSE! 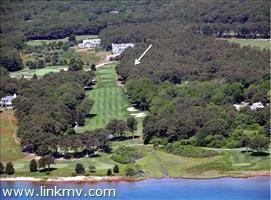 Easy access to BIKE PATH & FARMNECK GOLF CLUB! 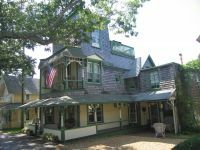 Oak Bluffs 25 Ocean Avenue sold by Marilyn Moses on Thursday October 13, 2016 for $1,000,000 ..Located on Historic Ocean Park in Oak Bluffs where the annual fireworks in August are! 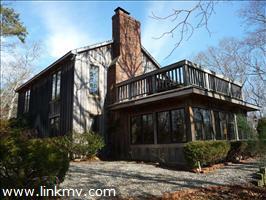 Huge wrap around farmers porch, 4 + bedrooms 2 bathrooms, wood burning fireplace..side patio..a block to Circuit Avenue, across the street is beach, water views of Vineyard Sound and Nantucket Sound, watch out for the Steamship Ferry on your deck..Dream home! Edgartown 18 Pinehurst Road sold by Marilyn Moses on October 7, 2016 for $615,000..Located within walking distance to the village of Edgartown where all the galleries, restaurants and shopping ..3 bedrooms 2.5 baths..wood floors..vintage charm throughout! 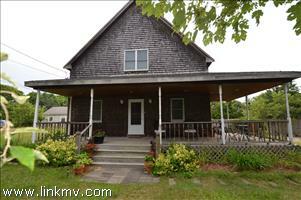 Oak Bluffs 24 Butler Avenue sold by Marilyn Moses on October 7, 2016 for $360,000 ..offering 3 bedrooms 1 bathroom this Magical Gingerbread Cottage offered onsite parking, located in the historic Martha's Vineyard Camp Meeting Association, built in hutch and wood floors and high ceilings. 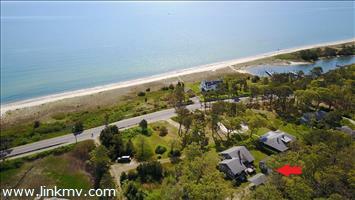 Oak Bluffs 15 Stone Pound Way sold by Alan Schweikert on September 29, 2016 for $915,000 in Hidden Cove Association! Beautiful Contemporary style home with bright spaces..association mooring and boat dock ..easy access to Sengekontacket Pond..offering 3 bedrooms..finished lower level! 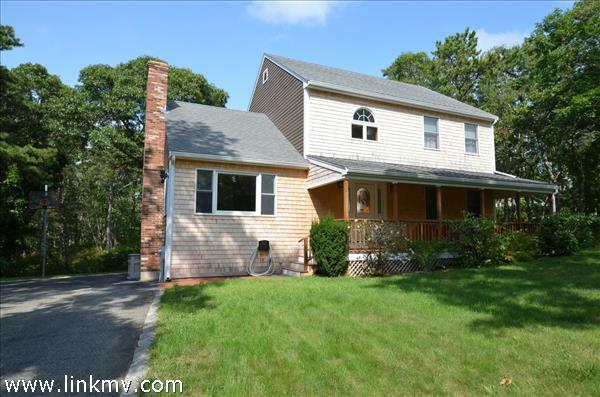 Oak Bluffs 26 Bayes Hill Road sold by Marilyn Moses on September 27, 2016 for $665,000 offering 4 bedrooms 2.5 bathrooms,close to an acre lot, abutting conservation lands..Pristine condition with an updated gorgeous kitchen with granite counters & maple cabinets, wood burning fireplace, open and bright spacious living/ dining area! 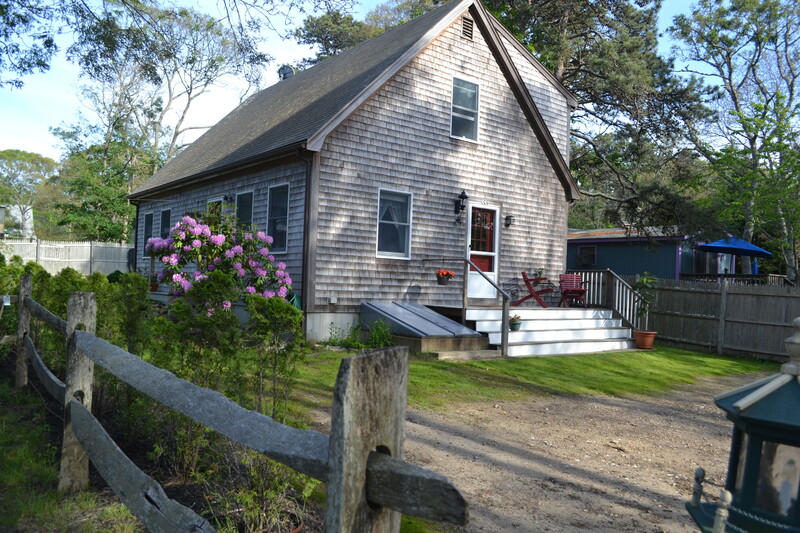 Oak Bluffs Magical Campground Cottage 14 Trinity Park sold by Marilyn Moses on September 14, 2016 for $618,000 ..This Campground Cottage located in the Martha's Vineyard Camp Meeting Association on Trinity Park ..offering front row seats to all the wonderful events at the Historic Tabernacle..One of a kind cottage offering 6 bedrooms 2 bathrooms, and wrap around farmers porch! Beautiful original wood floors, crown molding and high ceilings..A block to Circuit Avenue, Oak Bluffs Harbor and public beaches! 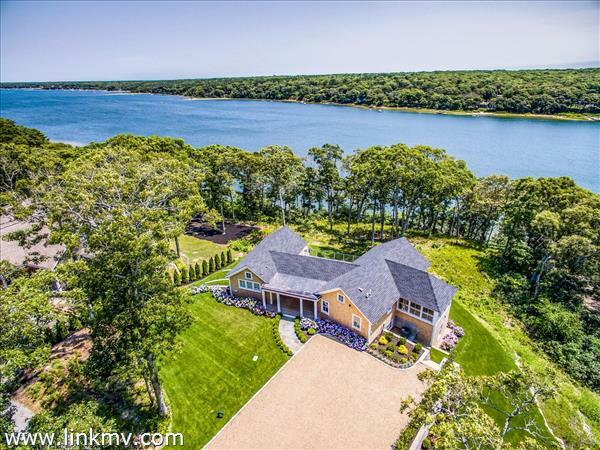 Oak Bluffs Spectacular Water View ~133 Sea View Avenue Oak Bluffs home sold by Alan Schweikert on September 8, 2016 for $1,900,000 ..Abutting Farm Pond with breathtaking Sunrises and reverse island sunsets..Colorful skies all day long! 5 beautiful bedrooms, high end kitchen, 3 bathrooms, short bike ride to town, across the street is the beach! Strong rental history! 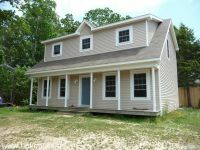 Oak Bluffs 106 County Road sold by Sharon Graham on August 31, 2016 for $616,250 ..4 bedroom 2.5 bathroom..located off the road a bit..County Road has a bike path for easy access into Oak Bluffs town, Circuit Avenue, Ocean Park and Oak Bluffs Harbor! 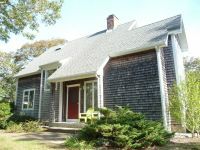 Oak Bluffs 35 Bridle Path Road sold by Marilyn Moses on August 29, 2016 located off the Edgartown/ Vineyard Haven Road near the Island Alpaca Farm..This home offers 3 bedroom 3.5 bathrooms in excellent condition..Bonus finished basement..Convenient location to all the down island towns on the Vineyard..
Oak Bluffs 6 Lori Lane sold by Sharon Graham on August 24, 2016 for $400,000..offering 3 br& 1 bath ..short walk to Oak Bluffs Harbor, Ferries, public beaches and all the fun activities in the Seaside Village! 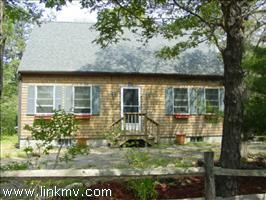 Oak Bluffs 5 Forest Circle sold by Joanna Fairchild on July 19, 2016 for $432,500 ..in the heart of Forest Circle located in the Historic Martha's Vineyard CampMeeting Association..This year round home offers 2 bedrooms 1 bathroom, wrap around farmers porch on site parking, a block to Circuit Avenue, the new Barn Bowling Alley in Oak Bluffs, all the public beaches, Oak Bluffs Parks & Playgrounds! 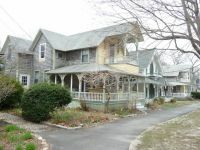 Oak Bluffs 36 Lake Avenue sold by Marilyn Moses & Rene' BenDavid on July 15, 2016 for $475,000 ..Waterviews of Oak Bluffs Harbor Front., a block to Circuit Avenue, a block to public beaches, Sea View Avenue in Oak Bluffs..offering a strong rental history..this home is part of the Martha's Vineyard Camp Meeting Association in Oak Bluffs.. A historic landmark! Edgartown lot 10 Mayfield Lane sold by Marilyn Moses on July 1, 2016 for $340,000 ..Terrific location a short stroll to Edgartown Village, Edgartown Golf Club is at the end of the street! 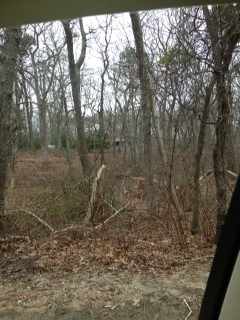 This land is located off Curtis Lane from Main Street Edgartown..Build your 4 bedroom dream house! 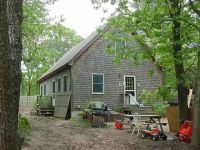 West Tisbury 27 Duck Pond Road single family sold by Marilyn Moses for $625,000 on July 11, 2016 3 bedrooms and 3 bathrooms in Longview Association located off Lamberts Cove Road on a larger 1.4 acre lot....convenient to Lamberts Cove Beach. 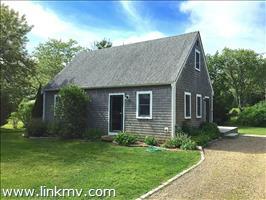 Vineyard Haven 191 Weaver Lane single family sold for $712,500 June 9, 2016 by Joanne Fairchild offering 3 bedrooms 2 bathrooms..country setting over 2.00 acres of land..walk into Tisbury Village, marina and ferry ports! 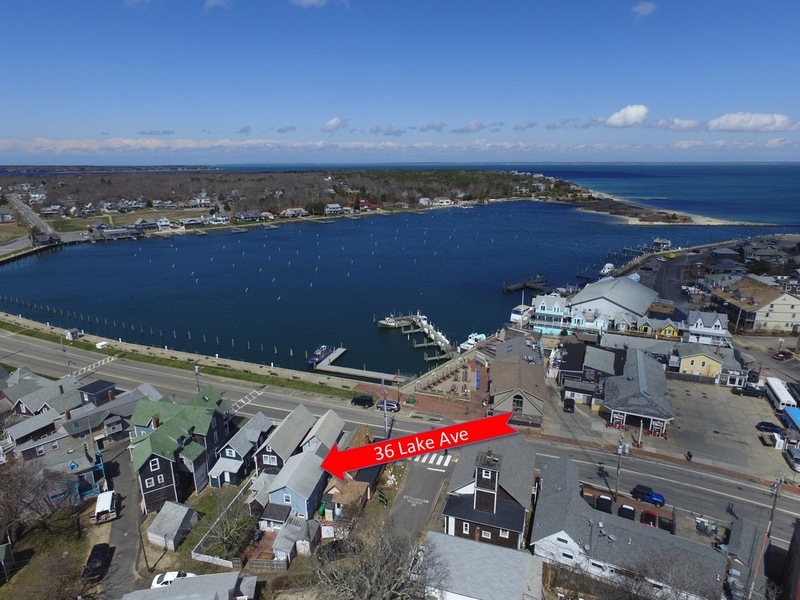 Oak Bluffs 35 New York Avenue Multi family sold for $995,000 on June 9, 2016 by Marilyn Moses & Alan Schweikert offering 5 apartments with plenty of parking and a short walk to Oak Bluffs Harbor, town beaches, East Chop Beach Club & East Chop Lighthouse..
Oak Bluffs 18 Puritan Drive sold for $950,000 May 20 by Sharon Graham located in Tower Ridge offering 5 bedrooms 3.5 bathrooms in an exclusive community with tennis paved streets natural wooded protected space and convenants..open concept beautiful bright rooms! Oak Bluffs 83 Shawanue Avenue sold for $640,000 May 19 by Marilyn Moses located in the Sandy Lagoon tucked away on a sleepy street;offering 3 bedrooms 2 baths..expanded ranch style home with finished lower level and unfinished attic ...bright and spacious rooms..gourmet chefs kitchen beautiful mastersuite! Must see! 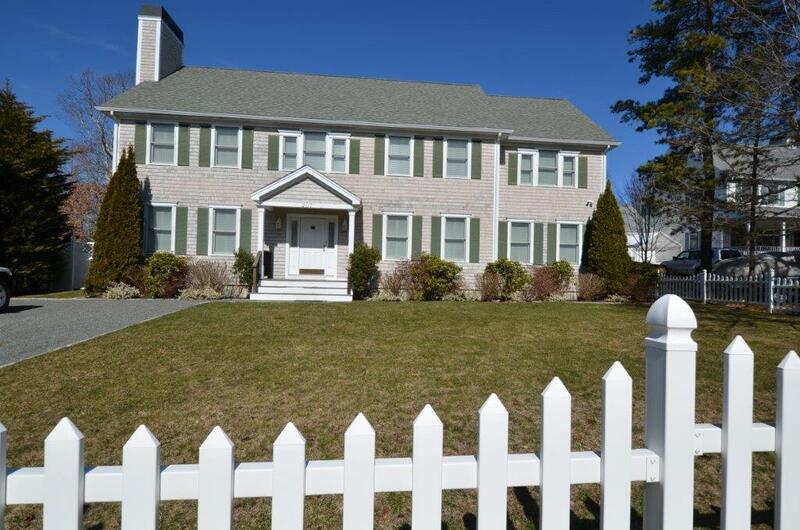 Oak Bluffs 143 Pennsylvania Avenue sold for $667,00 May 18 by Marilyn Moses located in the Lagoon Heights offering 3 bedrooms 3.5 bathrooms detached garage with studio space above..beautiful mature gardens and landscaping..Wood floors, granite kitchen counters, impeccable condtion! 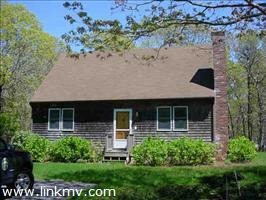 Oak Bluffs 17 Elmwood Avenue sold for $460,000 on May 18 by Marilyn Moses located in East Chop Highlands offering 1 bedroom 2 bathrooms..bright and spacious rooms..charming vintage bungalow style home..Walk to East Chop Beach Club, Oak Bluffs Harbor, famous Circuit Avenue and intown ! 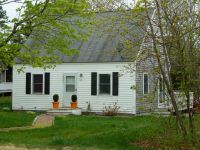 Vineyard Haven 46 Briarwood Lane sold for $400,000 on May 12, 2016 by Marilyn Moses Located in Vineyard Haven short walk to Lake Tashmoo Boat Landing..Ranch style home offering 3 bedrooms 1 bathroom..Features newer roof and newer exterior deck..Cathedral ceilings! 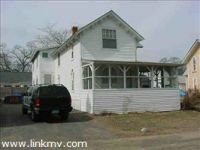 Oak Bluffs 13 June Avenue in Oak Bluffs sold for $440,000 on May 11, 2016 by Marilyn Moses ..Saltbox Style home offering 2 bedrooms 1.5 baths approximately 900 feet to Oak Bluffs Sandy Lagoon Beach..This home offers open and bright rooms..! 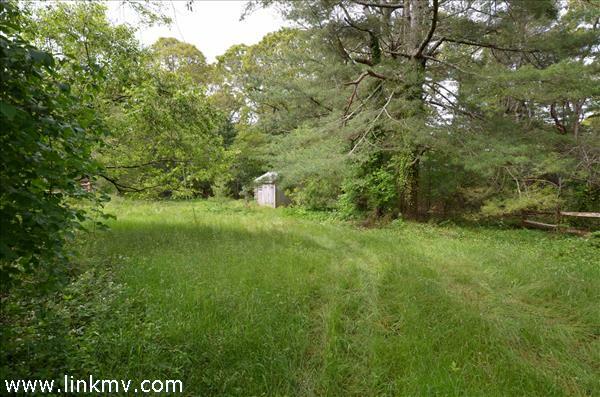 Vineyard Haven 0 Border Road--Lot 23.4 Sold for $240,000 on May 5, 2106 by Rene' Bendavid Located only a short walk to town & Village of Tisbury~ 1.16 acre Lot is nicely treed and level. It is the middle of 3 Available parcels. Three bedrooms allowed per Board of Health; an additional bedroom may be possible with an enhanced septic system..So close to the bus line, ferry ports and all the shops in the Village! 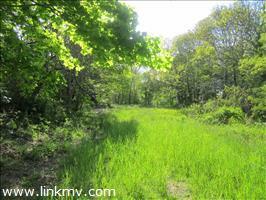 Vineyard Haven 0 Border Road---Lot 23.8 Sold for $ 250,000 on May 5 , 2016 by Rene' Bendavid..This is the largest lot, close to town Village of Tisbury.,build your dream house today..
Oak Bluffs 39 East Chop Drive Harbor Front Oak Bluffs Harbor Sold for $1,775,000 April 15 Alan Schweikert & Rene' Bendavid..Rare offering 3 bedrooms 1 bathroom deep water dock..Located on Oak Bluffs Harbor..and East Chop Drive..short walk into town and the East Chop Lighthouse..
Oak Bluffs 79 Pond View Drive in Vineyard Hills Pond View Association sold by Alan Schweikert on March 17 for $565,000 ..Beautiful Cape Style home with larger farmers porch and attached garage in the Vineyard Hills Association also, known as Pondview Association..offering 3bedrooms 2 baths, wood floors and abutting lots of greenbelt..short bike ride to town, Oak Bluffs Waterfront, Harbor and Circuit Avenue where all the shops and restaurants are located...Convenient to Lagoon Beach for boating, fishing and clamming on island! 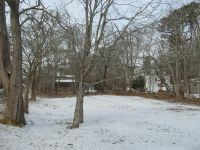 Oak Bluffs Lot .23 Acre lot sold by Marilyn Moses on March 11, 2016 for $247,400 ..buildable land about 700 feet to the sandy lagoon pond beach...a paved street in a desirable convenient location to Oak Bluffs Circuit Avenue, Ocean Park , bike paths, gingerbread houses and Oak Bluffs Harbor front. 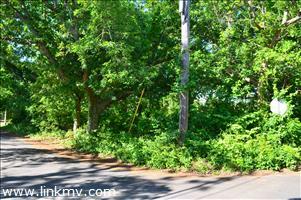 Vineyard Haven Lot 1.15acre sold by Rene' Bendavid on February 19, 2016 for $225,000..convenient land located off State Road in Vineyard Haven close to Tisbury village, short bike ride to Steam Ship Authority and all the restaurants in town. 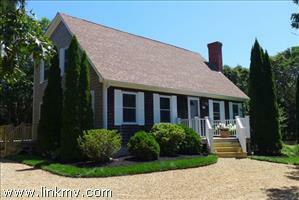 Oak Bluffs sold by Marilyn Moses on February 11, 2016 $465,000 ..Adorable 3 bedroom 2 bathroom Cape Style home offering an open floor plan and bonus first floor den/office! ..Bright open spaces allow for family gatherings! Terrific location a mile or less to Oak Bluffs Harbor, famous Circuit Avenue..where all the shops, restaurants and fun activity! 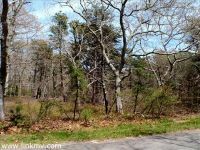 Oak Bluffs in Farm Neck Golf and Tennis Club sold by Alan Schweikert $750,000 on Feb 18, 2016 A rolling wooded lot on over 3.86 acres with distant waterviews to Sengekontacket Pond..the lot abuts 47 acres of Farm Neck Conservation land Pecoy Point..Stock Certificate for membership in the Farm Neck Golf & Tennis Club..Close to Oak Bluffs Circuit Avenue, all the public beaches and Oak Bluffs Town Parks! Oak Bluffs 81 New York Avenue sold by Alan Schweikert & Joanna Fairchild $1,375,000 on January 29, 2016 in Oak Bluffs formely known as the Admiral Benbow Inn...offering 8bedrooms & 8 bathrooms..Beautiful craftsmanship throughout..built like a Boston townhouse,details included original stain glass windows, original wood floors, high ceilings, spacious kitchen, koi point & plenty of onsite parking. 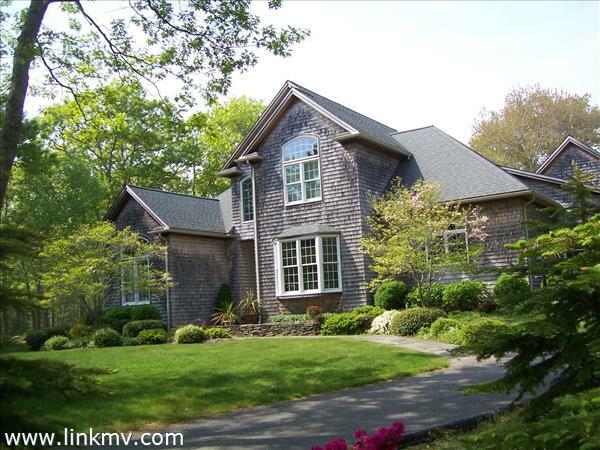 Oak Bluffs in Meadow View Farms sold by Marilyn Moses sellers agent & Joanna' Fairchild as buyers agent 13 West Meadow Lane $590,000 .on January 29, 2016. Beautiful 3 bedroom2.5 bathroom home in pristine condition, .80 acre lot abutting acres of greenbelt..Brand new Mahogany porch Spring of 205...Well cared for home with gorgeous upgraded kitchen with granite counters and French doors out to private sun deck. 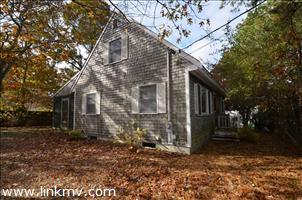 Vineyard Haven Sold by Michael Schweikert 366 Franklin Ave $395,000 offering 3 bedroom 1 bath..Many upgrades ..windows, septic & roof..Short walk to Vineyard Haven Harbor, ferries & Village of Tisbury. 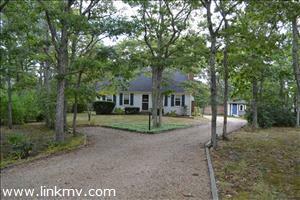 3.5 baths..gorgeous views of the meadow!Chefs Gourmet Kitchen open vaulted spacious living room..
Sold by Rosemary Byrd 55 Briarwood Lane in Vineyard Haven $675,000 on December 29, 2015..Vineyard Haven location short walk to Tashmoo Beach..private yard 3BR 4 Bath! 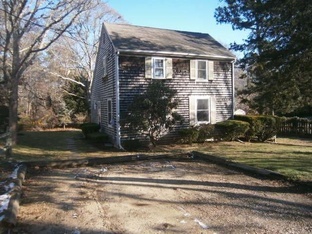 Sold by Marilyn Moses 20 Teaberry Lane in Edgartown $535,000 on December 23, 2015 ..Centrally located in a convenient Edgartown location a couple of miles to Upper Main Street Edgartown Village offering 4 bedrooms 2 fulls bathrooms recently newer paint, carpet, windows and exterior hardiboard..! 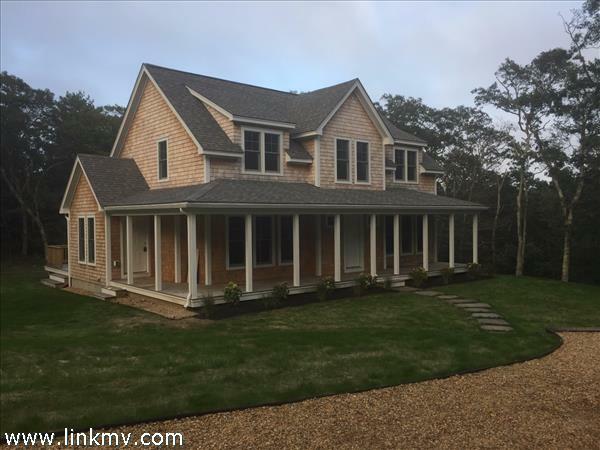 Sold by Marilyn Moses 1 Wheelhouse Way in Oak Bluffs $600,000 on December 11 ..Brand new construction home offering 3 bedrooms 2.5 baths..tiled beautiful hardwood floors..anderson windows..mahogany deck, outside shower and convenient to all the down island towns! Sold by Alan Schweikert 85 Circuit Avenue in Oak Bluffs $675,000 on November 13..Intown Oak Bluffs over 5 + bedrooms, Commercially zoned..a block to sandy public beaches, inkwell beachSteps to all the shopping, restaurants in Oak Bluffs..art galleries and the Historic Campmeeting Association where all the Victorian Gingerbread Cottages are located ! 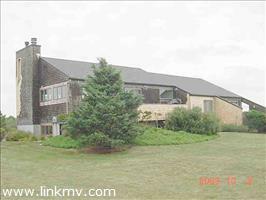 Sold by Alan Schweikert 50 Brush Pond Road in Oak Bluffs $630,000 on November .25..Beautiful Lagoon Waterviews, 3 bedrooms..private location..strong rental history..
SOLD BY MARILYN MOSES & ALAN SCHWEIKERT on 114 PARK STREET aka 4 PALL MALL AVENUE, November 11 in OAK BLUFFS,$1,375,000 EAST CHOP LOCATION! Active waterviews over Chrystal Lake, Vinyeard and Nantucket Sound..all the way to the coastline of Cape Cod..to Chappaquiddick...offering 4 bedrooms, 3.5 bathrooms, wood burning fireplace, open spacious kitchen living area..Eat in Kitchen..Wall of Windows..Evening Sunset on Martha's Vineyard...Best View to watch the evening Sunsets in East Chop! 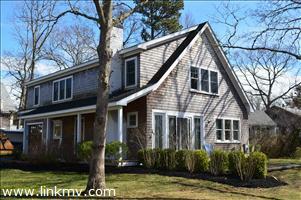 SOLD BY JOANNA FAIRCHILD 17 Onondaga Oak Bluffs for $485,000 October 15, 2015 ..Located in Lagoon Heights in Oak Bluffs Cape Style home with woodfloors, first floor masterbedroom..Post & Beam style built on ..Lots of Vineyard Charm throughout..
SOLD BY MARILYN MOSES 10 PEQUOT AVENUE OAK BLUFFS FOR $609,250 October 9, 2015 ..Named the "Seahorse" this 4 bedroom charming Victorian Home located a block from the Inkwell beach in Oak Bluffs..Located in the historic Copeland District of Oak Bluffs..A couple of blocks to Circuit Avenue, Ocean Park, Steamship Authority ferry ports...watch the August Fireworks from your wraparound porch! SOLD BY MARILYN MOSES 60 SUNSET ROAD, OAK BLUFFS for $425,000 on September 25, 2015 ..Short walk to Oak Bluffs Harbor, public beaches, ferry ports and Circuit Avenue! 3 bedrooms 1 bath..private back yard and exterior deck! 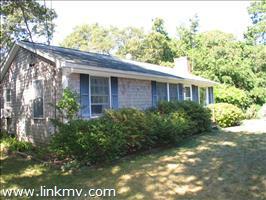 SOLD BY ALAN SCHWEIKERT 32 BEACH ROAD, OAK BLUFFS for $330,000 on September 14, 2015Across the street is Vineyard Haven Outer Harbor, walk to Eastville Ave Beach..convenient to Steamship Authority in Vineyard Haven, Black Dog Tavern and public Beaches in all towns! Terrific Value! 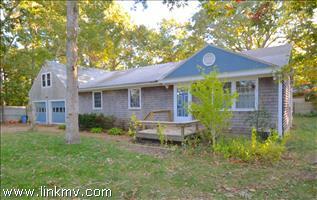 Located in Oak Bluffs in the Martha's Vineyard Campmeeting Association, Oak Bluffs on Trinity Circle! Rare Offering ! porch! Decorate with lanterns on Illumination Night! 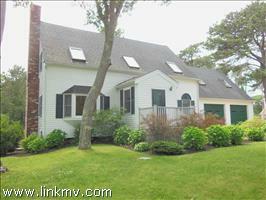 Walk to Oak Bluffs Harbor, town and public beaches! Stroll into the historic Martha's Vineyard Campmeeting Association..offering three bedrooms and one bathroom..summer rentals in place..terrific value! 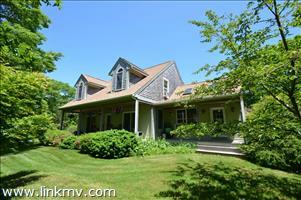 East Chop Vineyard Cottage offering 4 bedrooms 2 bathrooms, stone fireplace and enclosed sun porch! 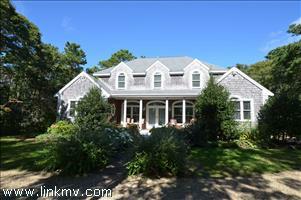 Breathtaking Commanding Waterviews all the way to Cape Pogue ! 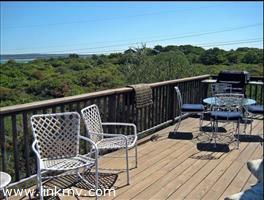 Waterviews over Crystal Lake Outer Vineyard Haven Harbor! 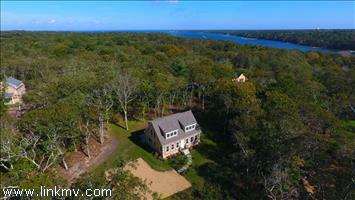 Expansive Waterviews of the Cape Cod Shore Line..Colorful Sunsets! Relax in Enjoy in this perfect Vineyard home! 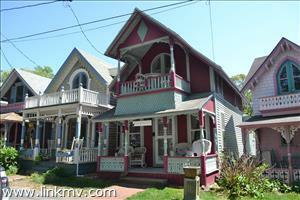 Located in Oak Bluffs a short walk or bike ride to Oak Bluffs Town, Harbor, Ferries and shopping! This home offers 3 bedrooms 3 bathrooms( one of the bathrooms is in the detached garage) Wood floors & Carpet, 2 exterior decks, .34 acre lot..Central AC..Custom Built! Won't last! 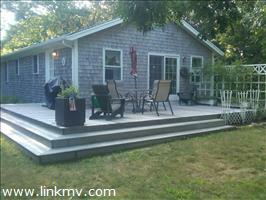 SOLD BY RENE' JACKSON 57 AUTHIER AVENUE, VINEYARD HAVEN AUGUST 11, 2015 FOR $554,000 Located on a quiet street nestled back in a very private setting offering 3 bedrooms, 2 bathrooms..outside deck ..wood burning fireplace..mature beautiful landscaping..and walking distance to Tisbury Center, Tashmoo Beaches, short bike ride to Mink Meadows Public Golf Course! Enjoy morning walks around West Chop all the way to West Chop Lighthouse! Cute as a button! 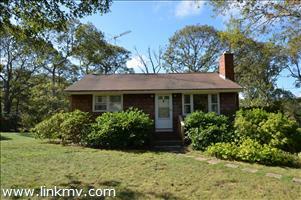 Walk to town Oak Bluffs, 3 bedroom 1 bath private back yard outside shower! Must see! Very special building lot located between the Sengekontacket Community and Hidden Cove with lots of natural protection....so quiet and peaceful...beautifully wooded hillside with excellent Southerly exposure making it ideal for bright sunfilled living rooms and walkout basement. This is one of a kind and a must see! 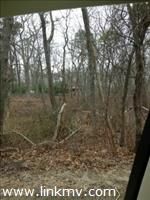 EDGARTOWN: Build your dream home on this 1.03 lot..! 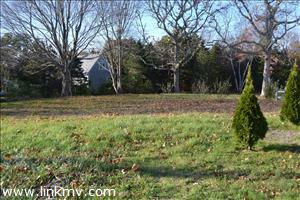 3 lots available convenient location off the Edgartown/West Tisbury Road..close to Morning Glory Farm! Bike Ride to the Village of Edgartown~! Edgartown Stroll to Boat Landing! This newly shingled and stone face fireplace that is convenient to the bike path and bus route sits this beautifully maintained three bedroom, three bath home. Large eat-in kitchen with custom cabinets and detailed trim. There is a back door that leads to a deck with built in seating and overlooking a large manicured back yard. The living room has a beautiful stone gas fireplace that can easily be turned back into a wood burning fireplace. There is also nice trim work in the living room as well as wainscoting. There are bay windows, skylights, cathedral ceilings, ceiling fans, central vac and much more. 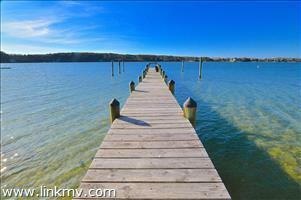 Just a short distance to the Sengekontacket boat landing, bike path, bus route and the town of Edgartown. 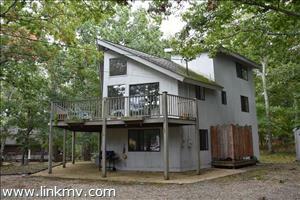 There is a large three car heated garage with additional living space above with shower bath. This home has been well cared for and ready to move into. 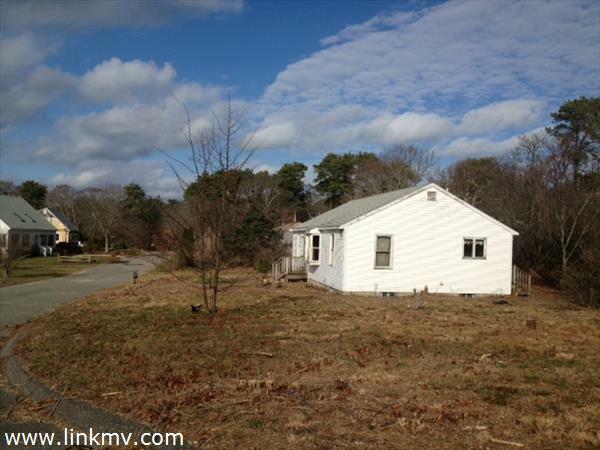 Oak Bluffs home total renovation..3 bedroom septic in place, passed title 5 ...26 acre lot..Perfect location to build a new construction house walk to town Oak Bluffs ..! 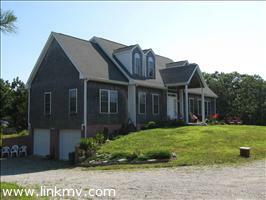 SOLD BY MARILYN MOSES MARCH 3, 2015 FOR $235,000 75 WING ROAD IN OAK BLUFFS! 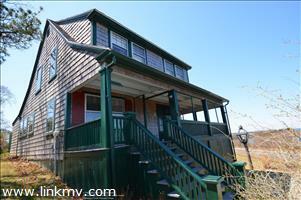 Convenient Oak Bluffs lot located a short bike ride to town, public beaches and town! Mostly cleared and level lot! Includes an approved 3 bedroom septic design! BRAND NEW ! 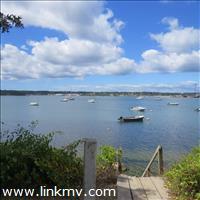 Vineyard Haven close to West Chop! : BRAND NEW CUSTOM DESIGN located in a desirable neighborhood within walking distance to town, beaches and ferries! Beautiful MAINTENANCE FREE CEDAR TRIM, features bright spacious great room, master bedroom on first floor with walk-in closet and full bath, and half bathroom. Second floor has 2 more ample bedrooms with another full bathroom, and a 2nd master bedroom suite with walk-in closet and private bath. Hardwood flooring throughout, custom made kitchen cabinets with granite counters, custom vanities with marble tops, tiled bathrooms, and full walkout basement with forced hot air heat and AC. Easy to show !PICTURES ARE FROM THE PREVIOUS HOME BUILT BY THIS WELL KNOWN ISLAND BUILDER! 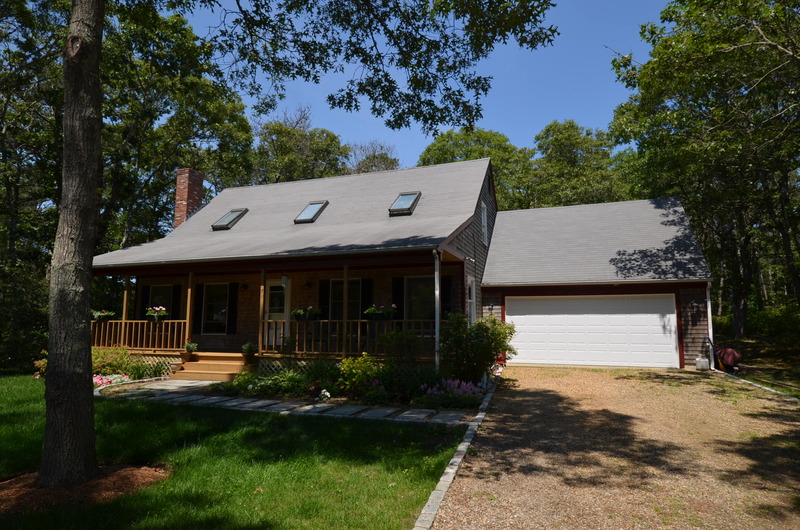 SOLD BY MARILYN MOSES JANUARY 31, 2015 FOR $535,000 79 PENNACOOK AVENUE OAK BLUFFS! 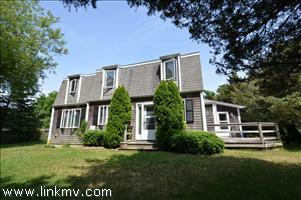 FANTASTIC OAK BLUFFS IN-TOWN LOCATION ! 3 BLOCKS TO THE BEACH! ENJOY all of the FUN ACTIVITY IN-TOWN LIVING OFFERS! 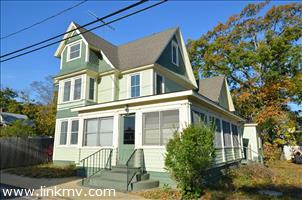 Stroll to harbor, shopping, restaurants, ferries.. Victorian style 4 bedroom 1.5 bath home with detached studio! Charming open, bright and spacious throughout, plenty of storage and terrific pantry area in kitchen ; roomy dining area ..2 bedrooms on first floor and 2 on second floor.. Home is on town sewer...You will love this Vineyard Cottage! 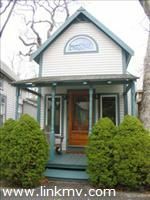 SOLD BY MICHAEL SCHWEIKERT JANUARY 23, 2015 FOR $370,000 140 VINEYARD AVENUE OAK BLUFFS: Here's a super value in this compact cape style residence situated within good proximity to the center of town, shopping, beaches and ferry. Features an open floor plan with hardwood flooring and a first floor bedroom and full bathroom with 2 more ample bedrooms and another full bathroom upstairs. Great SCREENED PORCH for dining and relaxing in privacy. Please note the price change to $899,000.00 on this iconic Aquinnah Beach cottage has wonderful views of the Vineyard Sound, the Elizabeth Islands, Menemsha and the North Shore of Martha's Vineyard. The home is a three-season residence and has deeded beach accesses to a private beach as well as permitted parking and access to the Philbin & Lobsterville beaches and to the Town Landing where one can take the foot ferry over to Menemsha. This area is well-known for its great beach fishing and easy access to charter fishing and boating, sailing and swimming activities. It's just a short distance to the beautiful beaches, shops and restaurants yet still in a serene, private setting. It has a strong rental history. 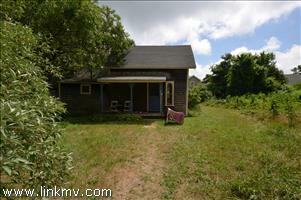 This is a wonderful opportunity to own a beach home in Aquinnah at a great price! Build your dream house on this private yet convenient OAK BLUFFS LOT that is located off the bike path and a short bike ride to town beaches, Oak Bluffs Harbor, ferries and all the fun activity offered in town...This lot should allow for 3 bedrooms..
A setting of serenity and tranquility …Set back from street on 3/4 acres of privacy abutting a wooded buffer. 3 Bedroom potential! The house has a spacious feeling with 25 ft cathedral ceilings and large skylights. Newly renovated interior with custom kitchen cabinets, granite counter tops, and hardwood flooring in kitchen and throughout. Enjoy dining in under chandelier lit dining room and counter top kitchenette. Master bedroom with private deck and full bathroom; large loft with skylight and half-bath. Efficient heat and AC pumps throughout the house! Decks and mature perennials complete this home. Building Assessment does not reflect the upgrades done to the property. 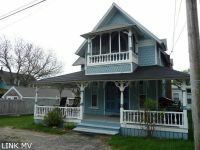 OAK BLUFFS: Cozy East Chop bungalow style residence, totally renovated over the last decade, is just a short walk to the public beach, harbor, ferry and town center. This wonderful turn of the century design features a comfortable living room, private den, eat-in kitchen, full bathroom and bedroom on the first floor, and there are 3 more bedrooms and another full bathroom on the second. Situated in a quiet neighborhood, the property offers a front porch and a backyard patio for summer entertainment. There is a storage shed and the basement has an oil fired hot water heating system. Excellent rental history! 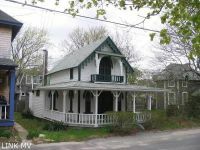 Vintage residence is situated just a short walk to the center of Oak Bluffs, Harbor, and Beaches in a quiet residential neighborhood. This property is at least a handyman's special and requires extensive renovation. Seller will provide an approved septic design, but buyer will be responsible for the installation. Highly Desirable home and location – walking distance to South Beach! Water views to the southeast and a large deck off of the open living area beckon for morning coffee or evening cocktails. 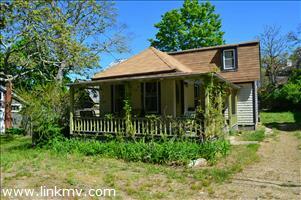 3 bedroom/2 bath home with potential expansion opportunities, including a 4th bedroom. Very special in-town property offers flexible use of both commercial and residential options. Presently a restored bungalow residence with NEW ELECTRIC, WIRING, WINDOWS and RENOVATED KITCHEN and BATHROOM is situated in a B-1 zone and includes a separate dilapidated structure that can be rebuilt with another bedroom along with commercial opportunity. A super location and a must see! 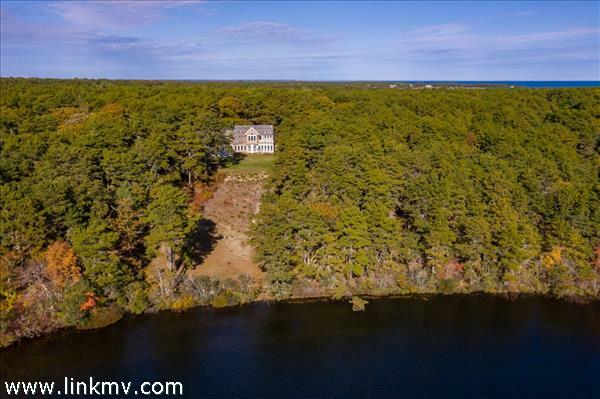 EAST CHOP OAK BLUFFS: Classic EAST CHOP residence features a WATER VIEW over Nantucket Sound, CONSERVATION LAND on both sides, and separate HALF ACRE buildable HOME SITE! Wonderful family home has timeless elegance on 1.5 private acres of lush green landscaping and a short stroll through the back yard takes you to the Beach/Yacht Club and Jetty Beach; ALSO an easy walk to town center, shopping, and ferry. This capacious design, with hardwood flooring throughout and lots of glass, includes a sun filled living room with fireplace, formal dining room, intimate den, office, 4 bathrooms, 5 bedrooms, huge walkout garage/basement, a sweeping deck, and more!....RARE OPPORTUNITY TO PURCHASE THIS EXCEPTIONAL PROPERTY! HOUSE CAN BE PURCHASED SEPARATELY FOR $1,695,000. 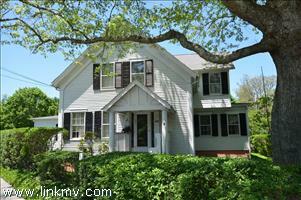 SOLD BY MARILYN MOSES OCTOBER 27, 2014 FOR $348,000 9 SYRACUSE AVENUE OAK BLUFFS! 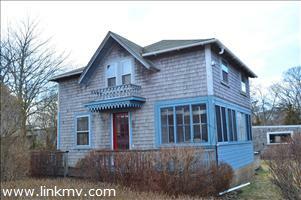 New listing in Oak Bluffs! 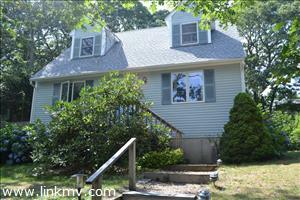 Move right into this Cape Cod home offering 3 bedrooms, 2 baths and only a short bike or ride to lagoon and town! Rose of Sharon surround the exterior back deck...don't wait this is a must see and won't last at this price! Oak Bluffs: Contemporary Hutker design sited along a landscaped acre that gently undulates to 121' private water frontage with 100' dock on Lagoon Pond... has many surprises! Designed for gracious year round living and summer entertaining, this unique residence is a pleasant digression from your average luxury retreat. Lots of energy efficient glass illuminates the open kitchen/living/dining area exposing many visual treats with intimate sitting areas that are highlighted by the hard birch flooring, marble fireplace, and an abundance of cherry and maple cabinetry. The first floor features a sumptuous master suite with walkin closet, marble shower and separate whirlpool tub. The second floor has three more very ample bedrooms with 2 beautiful full baths detailed in colorful mosaic tiling. One of the bedrooms is a second master suite with private bath. The dock is a boaters dream with a broad T at the end offering storage, electrical, water and a great place to sit and watch the sunset. This property is the most exciting value on Lagoon Pond. 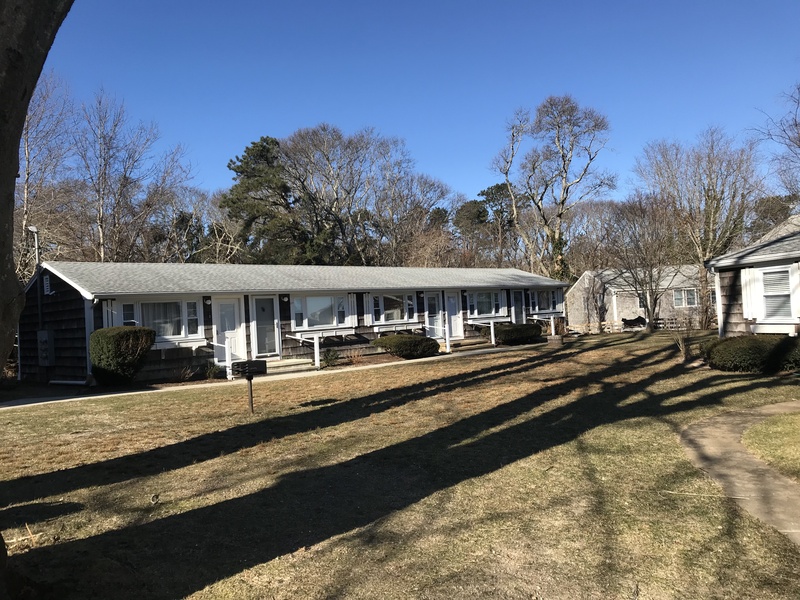 Oak Bluffs: This ranch style home on just under a half acre of land in a serene wooded setting just a short walk across the street to deeded access on Lagoon Pond sandy beach. Features a compact residence with lots of upgrades including AC, 3 bedrooms, 2 full bathrooms, open living /dining/kitchen with a bank of sliders accessing a private rear deck, carport, garden shed, finished attic area. Custom design from the 90's is situated on a very private rolling wooded parcel of land abutting conservation land in the Meadow View Farms just a short bike ride to the center of town. Walk through the back yard and connect with trails that go for miles into Land Bank property. This wonderful residence features 2 master bedrooms having been remodeled with a fabulous first floor master suite and addition to the living room highlighted by 8'sliders that offer serene views into the woodlands. Besides 4 large bedrooms, there is a spacious bright sleeping loft room on the third floor. Good rental history! Oak Bluffs: This classic home is located in the desirable Copeland District, just a short walk to town, beach, parks and the Arts District. This solid home features honey-toned woodwork details, a formal dining room, large pantry and sunroom. It features five bedrooms and two full baths. Great potential for rental income. The five bedroom septic recently passed the title-v inspection. Some minor TLC is required to return this home to its full glory. 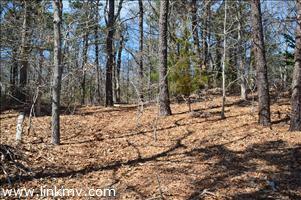 EXCEPTIONAL OPPORTUNITY to purchase one of the very few in-town wooded home sites. Just a short WALK to both TOWN CENTER and PUBLIC BEACHES, this corner lot has an approved septic design and building plans for a 3 bedroom 2500 sqft. custom residence. Owner did receive a Building Permit in 2010 which is now expired. This is the perfect serene location for in-town living. VERY SPECIAL & SPACIOUS VICTORIAN CAMPGROUND COTTAGE! 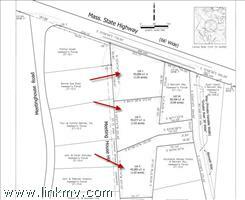 SITUATED ON 3 LOTS! 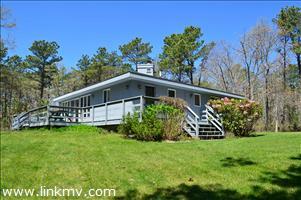 LOCATED IN THE HISTORIC MARTHA'S VINEYARD CAMP-MEETING ASSOCIATION! Steps to Oak Bluffs center, harbor, beaches and ferries! Offering 4 BEDROOMS 2 BATHS! This home has been in the same family for 100 years; is all original with lots of Victorian charm! Many built ins throughout, original stain glass windows! MUST SEE! CALL MARILYN MOSES FOR DETAILS 617-462-0381 CELL! 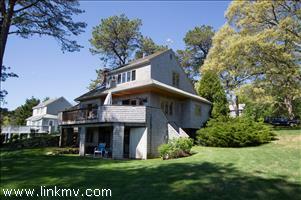 Oak Bluffs: This singularly unique multi-level residence has so much more than what is listed! It's interior living area is almost double as it rambles down the hillside offering spacious rooms with lots of character, utility and sunlight. South facing, all of the rooms have full size windows and access to decks and patios in a serene setting. The first level has an open kitchen/dining/living area with lots of glass, a cozy brick fireplace, 2 bedrooms, a half bath, full bath, and upstairs is a huge bedroom. The lower level has another full kitchen, bright family room with a brick fireplace, 2 more bedrooms, a full bathroom, and access into a surprising 3 season room with lots of glass and sitting areas. Complete with an attached finished 2 car garage and situated in a community with private salt water dock, greenbelt, tennis courts and protective covenants. Wow! Give me a call..EASY TO SEE!!! One of a kind offering with high visibility making it ideal for a HOME BUSINESS! Features a half acre plus of level land with a building that includes a front office on the first floor opening to a hugh 2 car garage with bathroom, storage and high ceilings to accommodate large equipment. The second floor has two 2 bedroom apartments with connecting decks. Perfect investment opportunity. 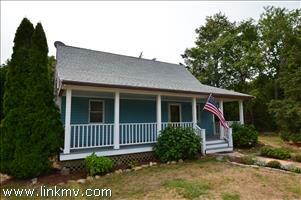 Oak Bluffs single family Bungalow Ranch! 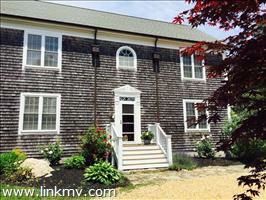 Only a short walk to Oak Bluffs Harbor, ferries, town and beaches! This home is A MUST SEE! Open spacious living and dining area! GORGEOUS renovated kitchen! CENTRAL AIR CONDITIONING! Gleaming wood floors throughout! High ceilings! Tiled Bath!Beautiful enclosed sun porch with bamboo floors! Detached garage! 4 Bedroom septic system! ROOM FOR EXPANSION! LOOK AT PICTURES!! EASY TO SHOW ! 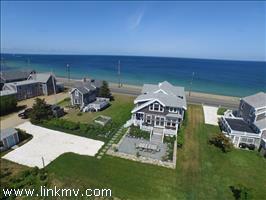 Oak Bluffs: Beautiful home sites like this hardly ever come up for sale! Almost 2 acres of high green rolling country side with lots of privacy in an exclusive area with just 4 other luxury home sites. 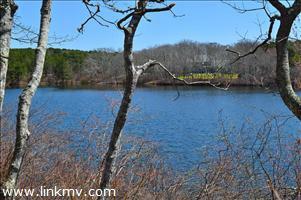 Ideally located, equidistant to the 3 down Island towns and on the bike path to Oak Bluffs center, this land has serene water views and includes 144' frontage on Wiggies Pond, a private spring fed freshwater pond. This truly melodious setting is ready for your Island dream house. Oak Bluffs: ONCE IN A LIFETIME OPPORTUNITY TO OWN A BEAUTIFUL CAPE COD STYLE HOME situated on 18 PLUS ACRES OF LAND with a man made pond, walking trails and plenty of open space for horseback riding! 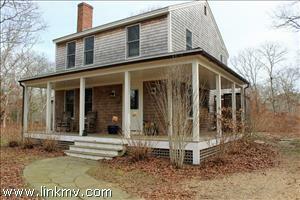 This home is very private but only a short drive to Vineyard Haven Main Street and ferries! 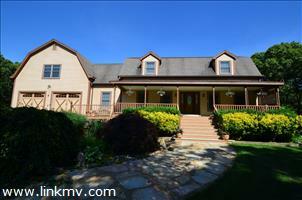 The property is surrounded by landbank property on three sides...Very special property ! 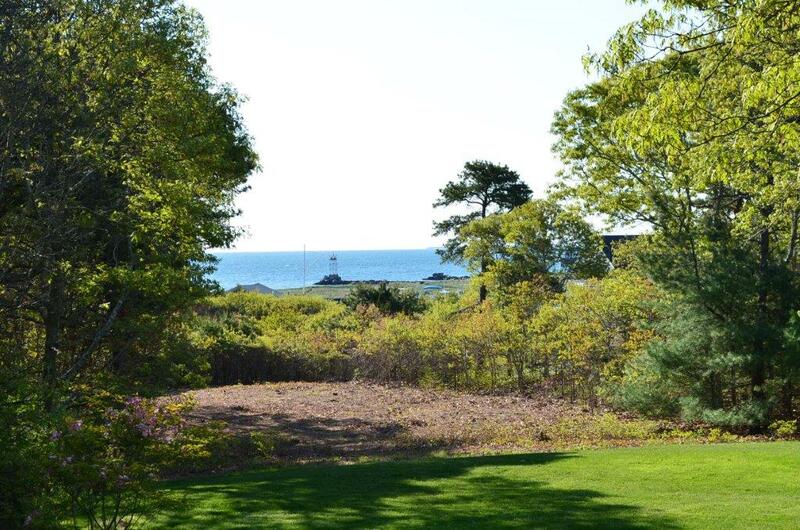 Oak Bluffs: Located just few hundred yards from the East Chop Bluffs, this undulating wooded home site offers privacy and a great setting for your new construction. Buyer is responsible for improving the town approved access from Dudley Avenue into the verdant hillside setting. This is a great East Chop value! 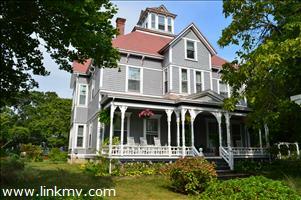 Oak Bluffs:THE TOWERS ..........ONE OF A KIND BEAUTIFUL INTOWN VICTORIAN HOME!, offering 15 bedrooms and 4 bathrooms...just a couple of blocks from Oak Bluffs center and beaches! Commercially zoned for Inns, resorts or tourists home..... 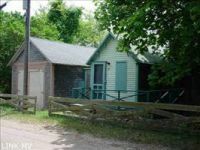 ..Buyer would be responsible for connecting to the town sewer..Call for details!Special property offering many possibilities for the SAVVY INVESTOR!! Must see and rare offering! 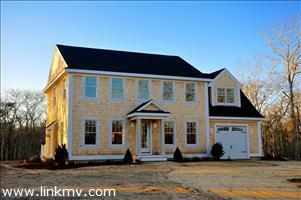 Meadow View Farms 5 bedroom 3.5 bath home with master suite on both the first and second level. Open floor plan is perfect for the large family or for an investor. Professionally landscaped yard with sprinkler system and private back yard patio area. Multiple large family areas with stone fireplaces on the both the first and lower level. Great rental history with over $50,000 booked for 2013. Great location close to bike paths with association Tennis. 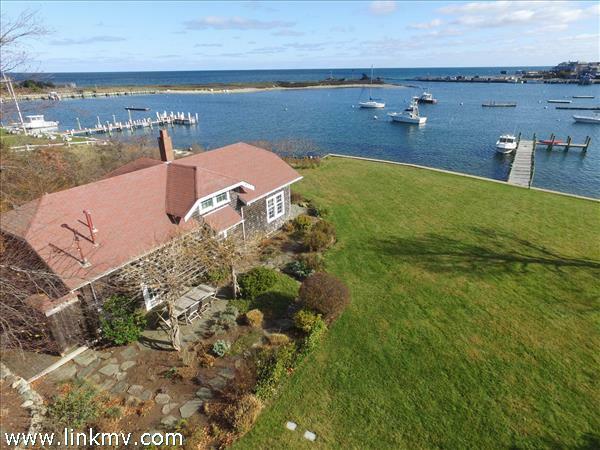 Oak Bluffs: Contemporary residence, well maintained, situated in private community with association tennis courts and salt water access...personal moorings available. Warm and inviting with lots of special living areas highlighted by a bright sunfilled eat-in kitchen with pantry, spacious living/dining area with fireplace, enclosed porch/family room, master bedroom suite with separate den/study, and a half bathroom on first floor. Second floor features 2 more bedrooms and another full bathroom. Beautifully landscaped and move-in condition! 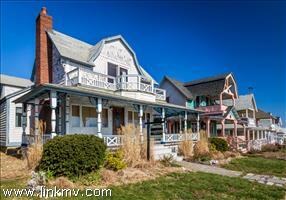 OAK BLUFFS: LOCATED IN EAST CHOP! 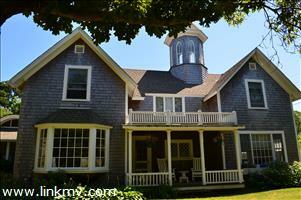 BEAUTIFUL YEAR ROUND VICTORIAN HOME STEPS TO OAK BLUFFS HARBOR, EAST CHOP BEACH CLUB, JETTY BEACH and FERRIES! This property has been completely RENOVATED, NEW PLUMBING, ELECTRICAL and HEATING! WONDERFUL OPEN floor plan! QUALITY CONSTRUCTION THROUGHOUT! Magnificent mix of hardwood floors, SPACIOUS eat in kitchen, pantry with double wall oven, OPEN dining area into enclosed sun porch! Second floor offers a large master suite with walk in closet and jacuzzi bath! Two additional bedrooms, full bath and laundry! A finished full basement /media tv room offering additional living space and built ins! Private brick outside patio! 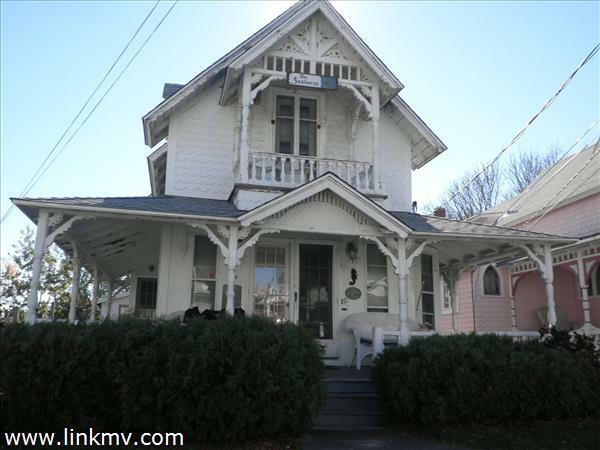 This home offers VICTORIAN CHARM and CHARACTER THROUGHOUT! PRISTINE CONDITION IN A HIGHLY DESIRABLE NEIGHBORHOOD! OAK BLUFFS EAST CHOP: Classic turn-of-the century shingle style seasonal residence exudes the character and charm of the era is situated just a block from the East Chop Bluffs on a sleepy side street in a quiet wooded setting. This wonderful home has a family room with beamed cathedral ceiling, an eyebrow window and full bathroom constructed in 1988 along with many other upgrades. There is a large bright kitchen that accesses a separate dining room with brick fireplace, spacious living room with fireplace, inviting screen porch with dining and sitting areas, and sunny rear deck with lots of backyard privacy. Upstairs are 5 sweet bedrooms, a half bath a full bathroom and a turret room. Also, there is an old fashion detached single car garage with a separate work room. This is a must see! 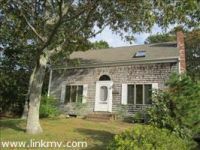 Oak Bluffs:Set back on a quiet street, just a short bike to town, this shingled Cape is being sold turn key, ready for your year-round enjoyment. Take advantage of the screened porch in the summer and the cozy fireplace in the winter. A solid home in a super neighborhood. Come take a look! 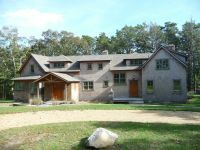 West Tisbury: This spacious bright and cheerful contemporary residence offers a secluded environment while still convenient to all down-island towns and just a SHORT bike ride to Long Point Beach. Amazing summer sunsets! Meticulous yard even your own park! A master suite with full bathroom and 2 walk-in closets, large eat-in kitchen with stainless steel appliances and sliders accessing a large deck, formal dining room, separate den/study highlight the ground floor. The second floor is a big surprise with a full bathroom and 2 big bedrooms with walk-in closets large enough for simultaneous use as office/TV room/den. There is a full, unfinished basement with access into a 2 car garage. BEAUTIFUL updated one bedroom guest house presently rented generating extra income! 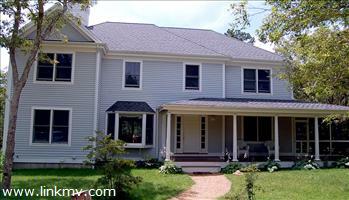 This home is in PRISTINE CONDITION "SHOWS LIKE A NEW HOME" AND OFFERS TREMENDOUS VALUE! MUST SEE and EASY TO SHOW! 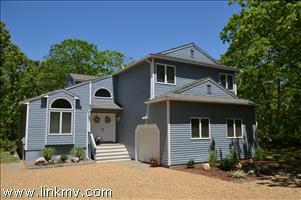 OAK BLUFFS: Modern Contemporary Cape located in the lovely private development of Hidden Cove. Offering private dock and boat mooring! This home offers an OPEN BRIGHT SUNFILLED LIVING AND DINING AREA.. 3 sliders in dining area OPEN to a LARGE NEWER MAHOGANY DECK AND BRICK PATIO! ... First floor bedroom and full bath, wood burning fireplace. Second level offers 2 more AMPLE SIZE bedrooms each with SLIDING GLASS DOORS TO OWN PRIVATE MAHOGANY DECK! Full bath and washer dryer on second level. Full basement and garage lots of storage space! THIS HOME IS VERY SPECIAL offering privacy and SPECTACULAR SETTING! 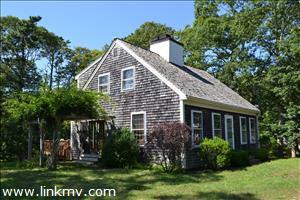 OAK BLUFFS: MOVE RIGHT INTO this WONDERFUL Cape Cod style Home on a .38 acre lot located in School House Village. A convenient central location offering 4 bedrooms and 2 full baths, finished basement offering additional living space! Wonderful wood burning fireplace in the living room..and Spacious Sun filled eat in kitchen that opens to a BEAUTIFUL SCREENED in SUN PORCH..Beautiful wood floors!Tastefully landscaped and mature plantings throughout! NEWER ROOF & PORCH & PAINT ! THIS IS A MUST SEE! 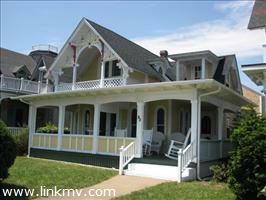 Oak Bluffs: Ocean Park Gem: Located in the heart of Oak Bluffs on historic Ocean Park. 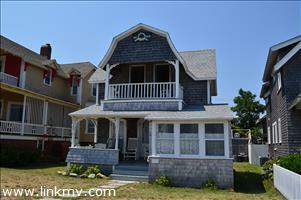 This property has two separate houses; A quintessential spacious Seaside Victorian home with 7 bedrooms and 4 bathrooms. 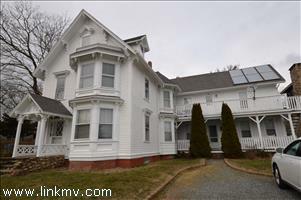 This renovated 1850's home has hardwood floors throughout, and a brand new kitchen (2013). The large open front porch with separate covered porch overlook Ocean Park with a spectacular view of the Atlantic Ocean. 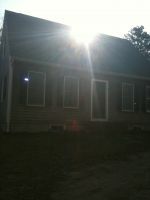 The guest house on 54 Kennebec Ave. is in a B1 zone with Commercial possibilities. 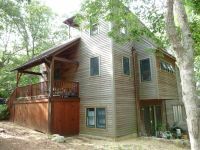 It is presently being used a year-round, 2 bedroom 2.5 bathroom home. Also newly renovated with FHA heat, newer kitchen, hardwood floors, bead board walls and a great in-town location. 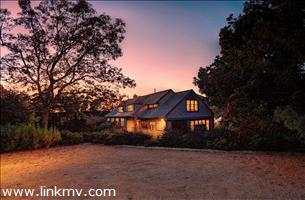 LISTING PRICE $1,495,000. 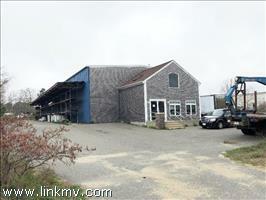 Vineyard Haven: Ready to build: All you need to do is pull your permits and start building! This .39 Acre Lot has been surveyed, staked, and is ready to go with a FOUR BEDROOM septic system that is already in place. Water is tapped to the property which is eligible for a house and guest house. Build your home and investment property on the same lot. 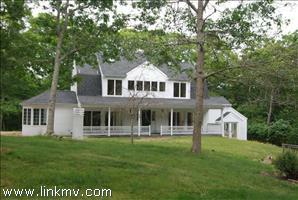 Located just off the Vineyard Haven Edgartown Rd. directly across from Skiff Ave. turn onto Cook Ave. and it is the second property on the right. 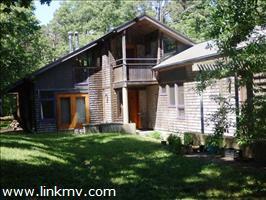 This wooded property is an easy walk to Main Street Vineyard Haven. 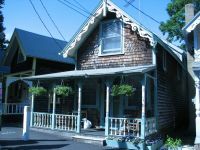 Oak Bluffs: Beautiful Cape Style home is just a short walk to the harbor, beaches, ferries and all the fun activity in Oak Bluffs! Home is in impeccable condition offering 3 Bedrooms & 2 full baths.. Sun filled home with spacious kitchen and living area with French doors leading to an intimate setting under the wisteria covered pergola! Wood burning fireplace in the living room and a second fireplace in the master bedroom. 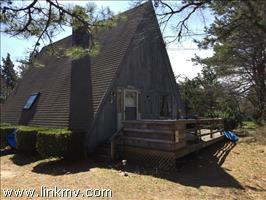 Wide pine flooring throughout..Newer Red Cedar Shingle Roof! ..Home shows like new...!Large private corner lot would allow for possible expansion and or garage! MUST SEE ! An affordable Campground cottage with water and sunset views over Sunset Lake from two covered porches. Open floor plan and 3 bedrooms with convenient parking make this a very desirable home/location. A short walk to all town amenities. 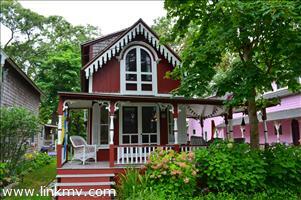 OAK BLUFFS: Charming Victorian Campground Cottage LOCATED IN THE HISTORIC MARTHA'S VINEYARD CAMP-MEETING ASSOCIATION! Steps to Oak Bluffs center, harbor, beaches and ferries! SPACIOUS, BRIGHT and SUN FILLED living room opens into an eat-in dining area and a full bath off dining area! Delightful eat-in kitchen with open custom shelving... Enclosed back porch is being used as 3rd bedroom, completely renovated with pine/new doors and rebuilt ceiling. Second floor offer 2 ample bedrooms and bath. 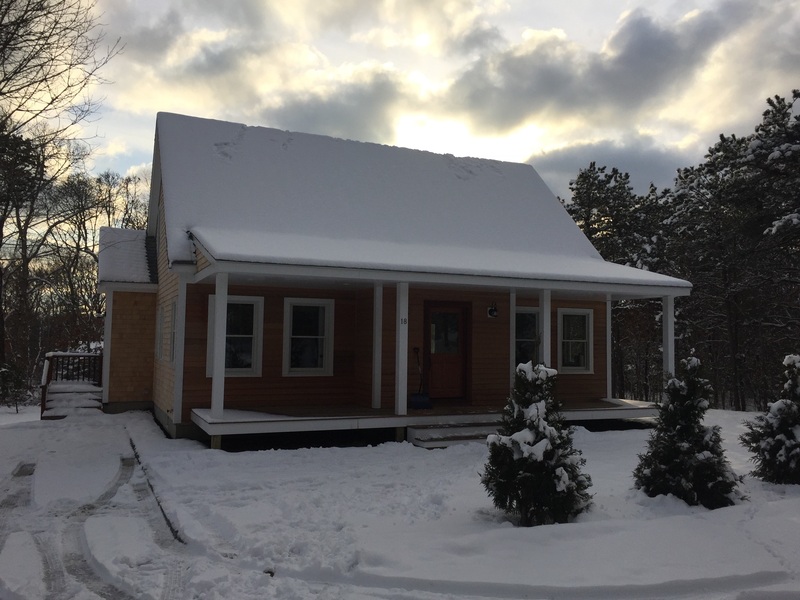 Entire cottage is re wired, newer windows throughout cottage , new back steps and deck rebuilt, front porch completely rebuilt -floors, ceiling & posts! Newer house shingles & new water line ..MOVE IN CONDITION!! A VERY SPECIAL COTTAGE HAS BEEN IN THE SAME FAMILY OVER 50 YEARS! RARE OFFERING IN A DESIRABLE LOCATION IN THE CAMPGROUNDS! SALE INCLUDES MANY ANTIQUE FURNISHINGS! Plenty of on site parking! MUST SEE!! Oak Bluffs: THE PERFECT LOCATION! One block to the public beach and a few blocks to Oak Bluffs Center, this property features a flexible upside-down floor plan with full walkout basement that maximizes space and comfort while offering dramatic views over Waban Park and Nantucket Sound. The first floor has a full bath with whirlpool tub/shower and two bedrooms with sliders that access a sweeping sun deck overlooking the Park and Sound. The second floor has a bright open living/dining/kitchen area with high ceilings, lots of windows and a full bathroom. 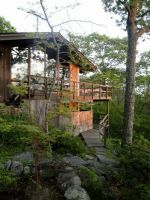 There is also a second story deck that features views of both Nantucket Sound to the East and Farm Pond for sunsets in the West. 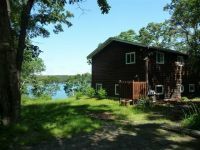 Don't miss this opportunity to own a great in-town property with up-island privacy, ideal for both vacation and year round living! Oak Bluffs: SHOWS LIKE NEW! 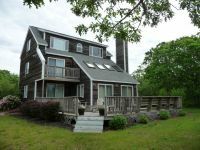 This wonderful Oak Bluffs contemporary colonial has been lived in for only a few years and is a "turnkey" opportunity coming COMPLETELY FURNISHED and ready for occupancy. Features 3 ample bedrooms, 2 full bathrooms, half bathroom, comfortable living room, formal dining room with tray ceiling, and a bright eat-in kitchen with access to the deck through sliding glass doors. There is a full basement with Gas Forced Hot Air Heat and AC. The house is presently rented! Oak Bluffs: One block from the sandy beach on Lagoon Pond this contemporary design, renovated in 2007, features an open living/dining/kitchen area with soap stone counter tops, brick fireplace, hardwood flooring throughout, custom cabinetry, full bathroom, and sliders that invite you out to a stone patio. The flow continues into a cozy den/TV room that accesses a sun filled Florida room, and there is a separate laundry that opens to the attached garage. Upstairs is a master suite with a walk-in closet and private bath with separate tub and tiled shower. Hardwood flooring throughout and there are 2 more ample bedrooms, another full bathroom, and plenty of 2nd floor storage and a tiled basement. This is a sweet property in a quiet residential location with some peek views of Lagoon Pond year round.....walk down to the beach for a swim and in the evening take in the dramatic sunsets! 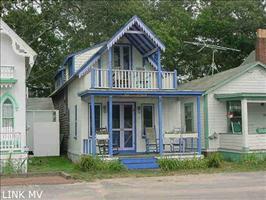 OAK BLUFFS: Gingerbread Cottage located in the Historic Martha's Vineyard Camp Meeting Association! 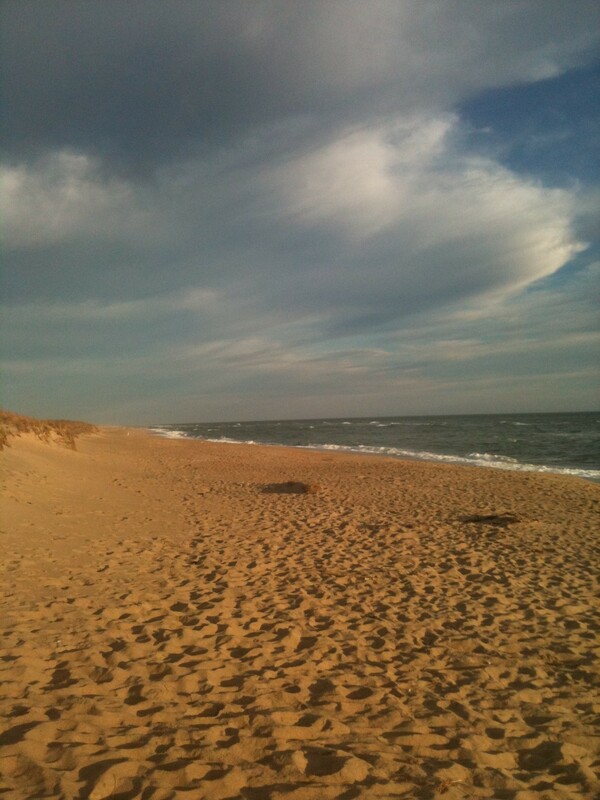 STEPS TO HARBOR, BEACHES, FERRIES & and ALL THE FUN ACTIVITY OAK BLUFFS OFFERS!! First floor offers BRIGHT, SUNFILLED eat in kitchen and living room..Home is insulated on the second floor; owners lived in the home year round for many years...SALE INCLUDES MANY ANTIQUE FURNISHINGS.....MANY CHARMING VICTORIAN DETAILS THROUGHOUT!! WON' T LAST AT THIS PRICE!! 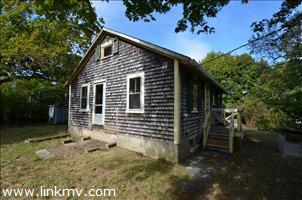 Wonderfully quaint Lagoon-front cottage with bright, clean, cheerful interior is located on Hines Point. Dine on the deck to the sound of the water lapping on the sandy beach. 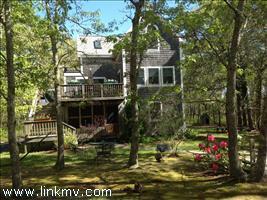 Very private setting with an expanse of lawn to the sandy beach. One car garage under the house provides ample off-season storage for beach and boating equipment. Walking distance to the village. Oak Bluffs Lagoon Location! Must see! Call Marilyn Moses 617-462-0381! Open cleared lot close to Lagoon Pond and Newton Avenue and public boat ramp. Electric and water at the road. 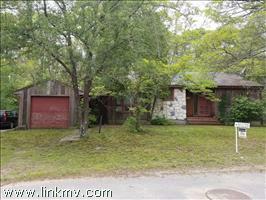 OPEN FLOOR PLAN, 3 BR 2 BATH LESS THAN A MILE TO TOWN, WOOD BURNING BRICK FIREPLACE, HARDWOOD FLOORS! Steps to Oak Bluffs Harbor, Beaches and ferries! 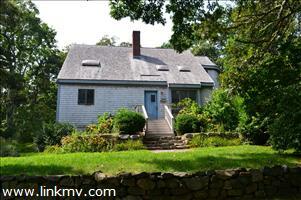 6 bedroom, EASY TO SHOW CALL MARILYN MOSES 617-462-0381 CELL. 32 Plum Bush Point Rd. 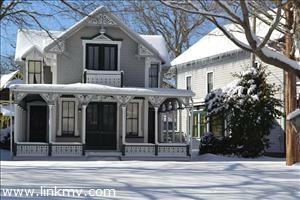 PRISTINE CUSTOM BUILT YEAR ROUND OAK BLUFFS VICTORIAN HOME. CALL MARILYN MOSES AT 617-462-0381 CELL. PRISTINE AND MANY CUSTOM DETAILS THROUGHOUT! LARGER LOT! CALL MARILYN MOSES AT 617-462-0381 CELL. STROLL TO OAK BLUFFS HARBOR! CALL MARILYN MOSES FOR DETAILS AT 617-462-0381 CELL. 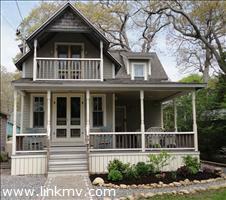 SHORT WALK TO OAK BLUFFS BEACHES AND TOWN! CALL MARILYN MOSES AT 617-462-0381. 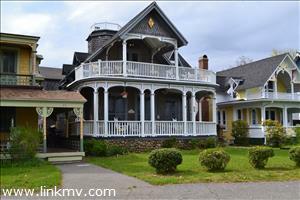 INTOWN VICTORIAN WITH 6 BEDROOMS AND 2 BATHS!! 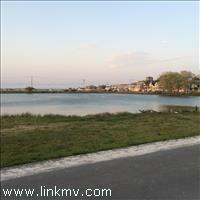 WATERFRONT SHORTSALE SOLD WE HAVE OTHERS! 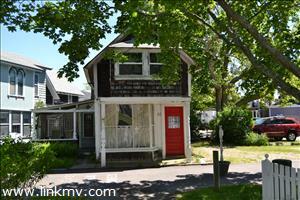 SHORT WALK TO OAK BLUFFS TOWN AND BEACHES! 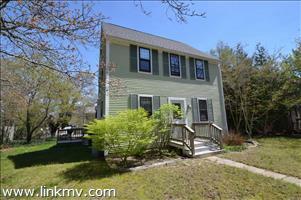 RENOVATED IN 2007, 3BR 2 BATHS FULL POURED BASEMENT OPEN KITCHEN LIVING AREA & MUCH MORE!! START BUILDING YOUR DREAM HOME! LOVELY HALF ACRE LOT IN A NEIGHBORHOOD OF NICE HOMES! APPROVED FOR 3 BEDROOMS, CABANA AND ROOM FOR A LUXURY POOL! CALL MARILYN MOSES AT 617-462-0381NOW WON'T LAST~!! 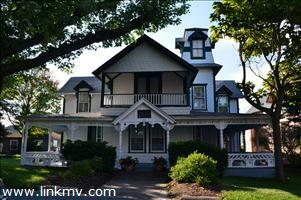 BEAUTIFUL FOUR BEDROOM VICTORIAN COTTAGE!LOCATED IN THE CAMPMEETING ASSOCIATION! LOCATED IN EAST CHOP ! YEAR ROUND BEAUTY! 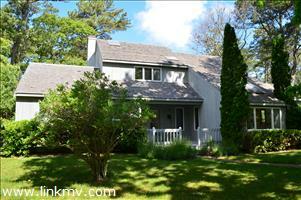 4 BEDROOMS CLOSE TO OAK BLUFFS CENTER, BEACHES & FERRIES.........PRIVATE SETTING AND SO MUCH MORE! 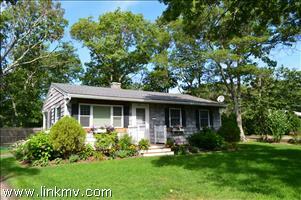 BEAUTIFUL YEAR ROUND COTTAGE LOCATED IN THE HISTORICAL OAK BLUFFS CAMPGROUND!! RENOVATED WITH HEAT! 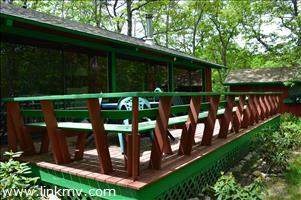 BEAUTIFUL 6 BEDROOM YEAR ROUND HISTORIC CAMPGROUND COTTAGE! STEPS TO OAK BLUFFS HARBOR! STORNG RENTAL HISTORY AND VERY ROOMY THROUGHOUT !